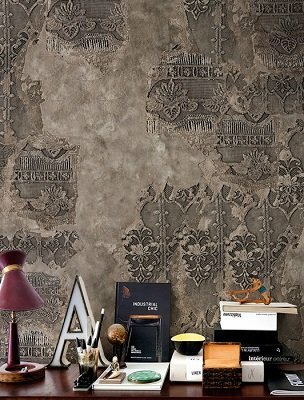 Luxury wallpapers represent great development of the very old idea of decorating the walls. 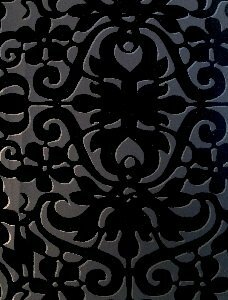 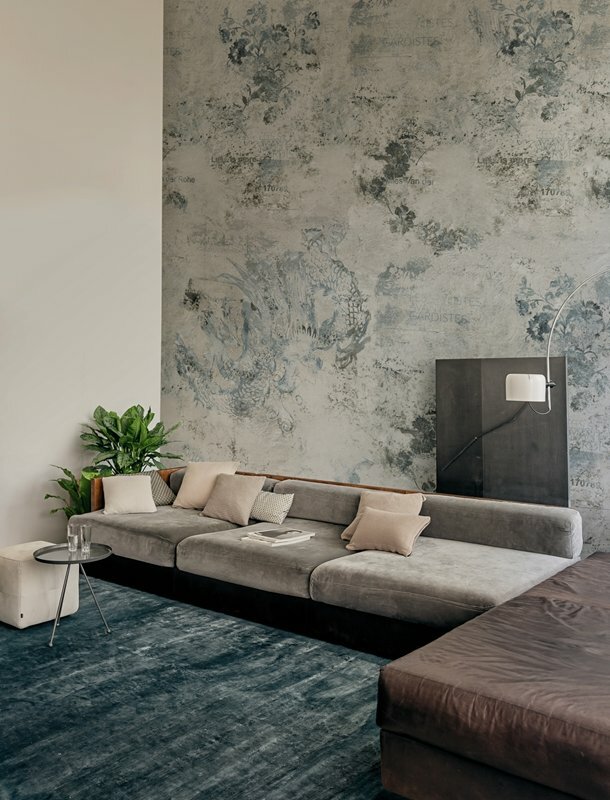 They meet the rules that were valid in the Middle Ages – this type of wall coverings were designed to tell some story, to give a specific charm and give the room an individual character in accordance with the spirit of the age, a certain style and preferences of the investor. 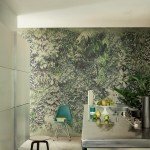 Today surprisingly little has changed – exclusive wallpapers are produced naturally from other materials, but their main benefits did not change: the wallpaper allow you to refine the arrangement with such detail, for which never let paints as well as something that you can not achieve with paints, which is to give the surface a new, very subtle texture. Destruction, which once was considered a disadvantage, now is considered to be an asset and are treated as an additional aesthetic value. 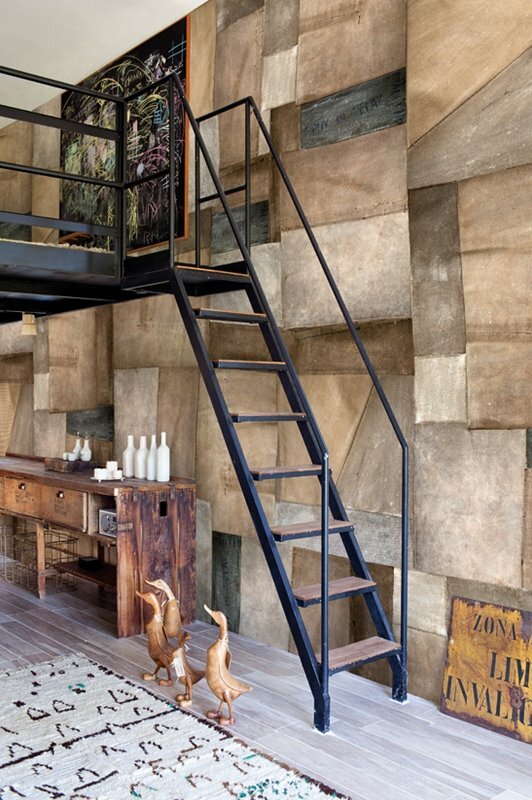 Ideally suited for industrial space and blend well with strict and severe interiors. 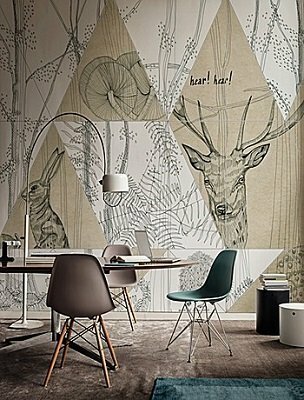 Wallpapers having interesting coloring, will visually enrich every arrangement with visual effects. 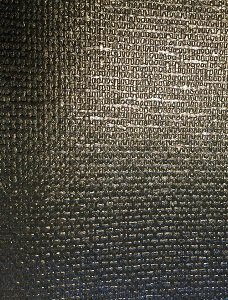 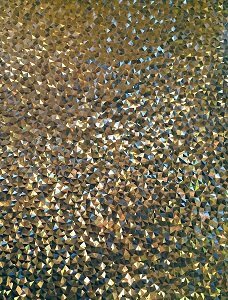 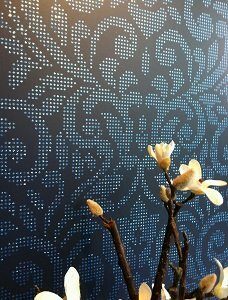 We offer wallpapers resembling shimmering swells. 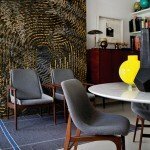 They ideally go with modern interiors, significantly enlivening the interior. 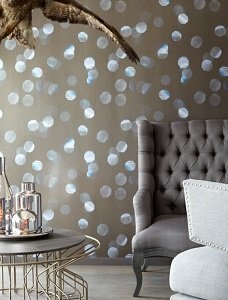 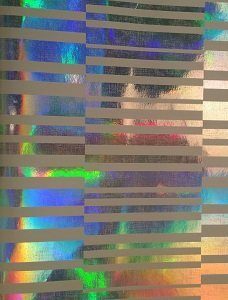 Wallpapers with traces of mother-of-pearl, shimmering depending on the angle of light, creating an interesting visual effect on each wall. 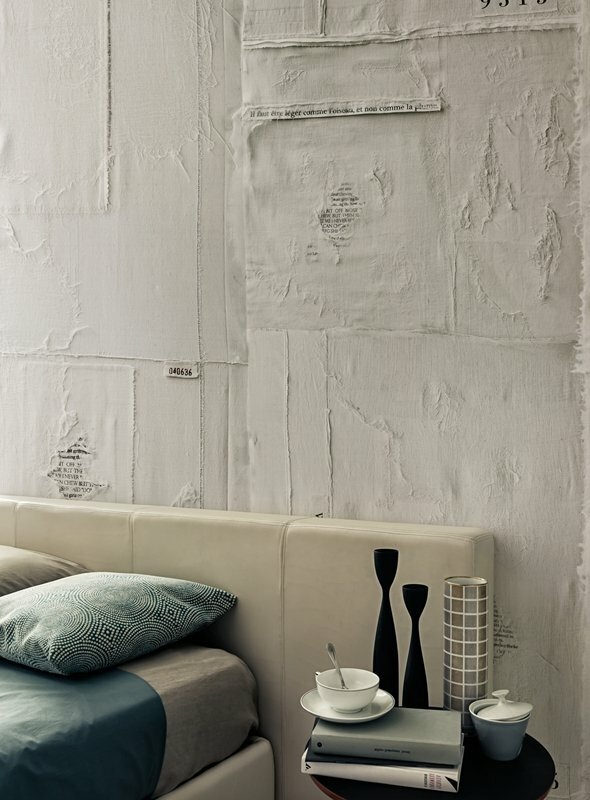 Particularly suitable for use in bedrooms and guest rooms. 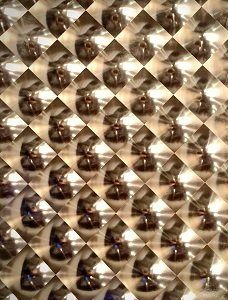 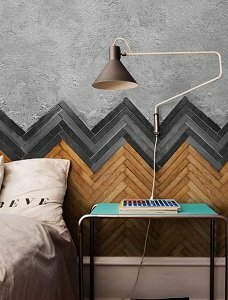 Wallpapers which create different effects of optical illusions, for example bulge effect, which diversify the appearance of your apartment. 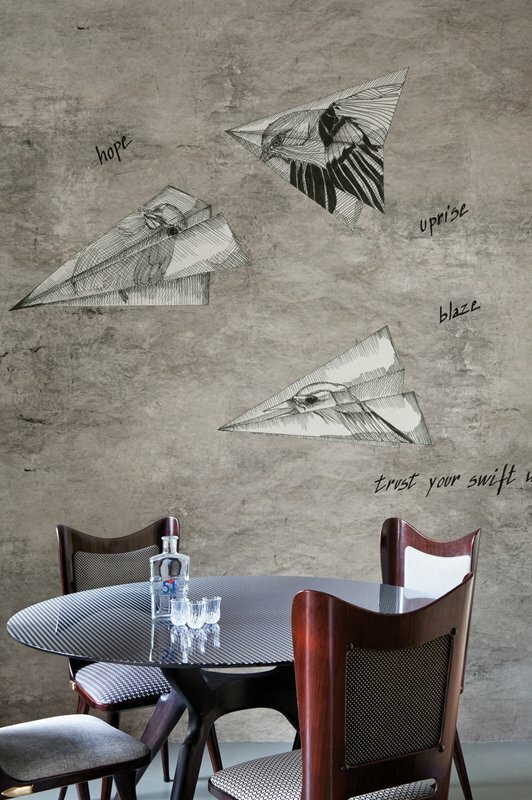 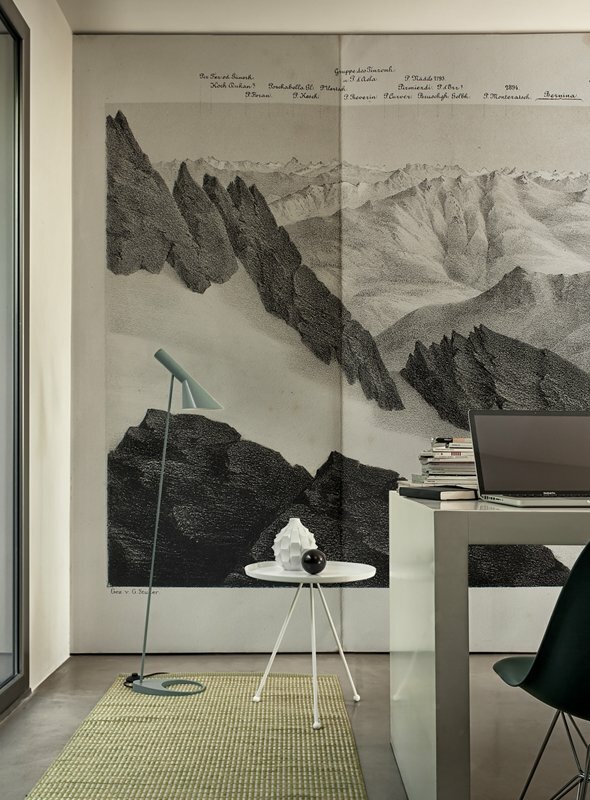 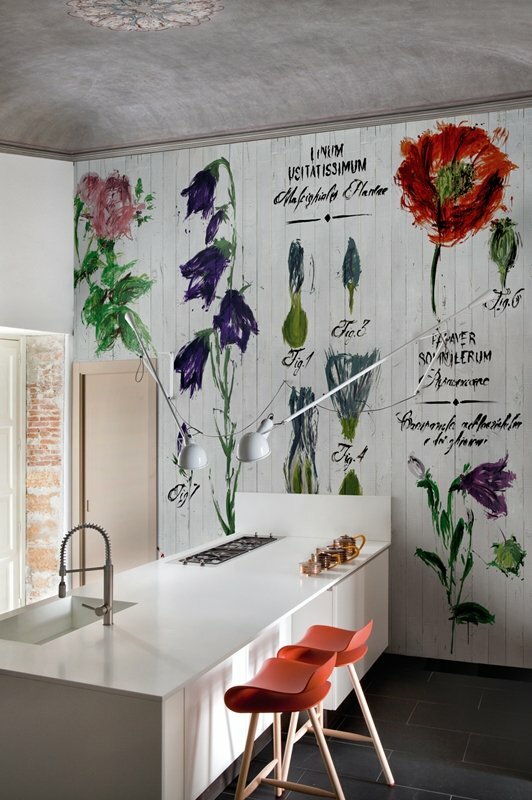 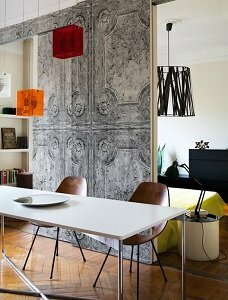 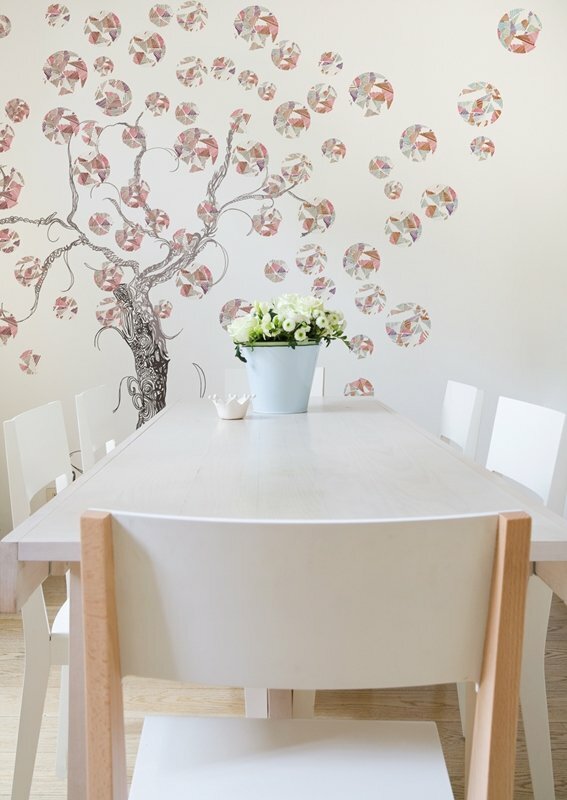 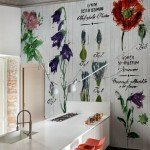 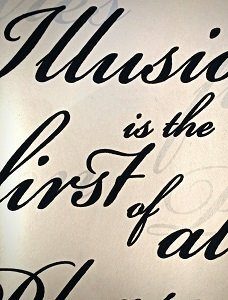 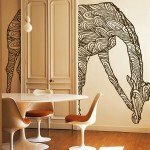 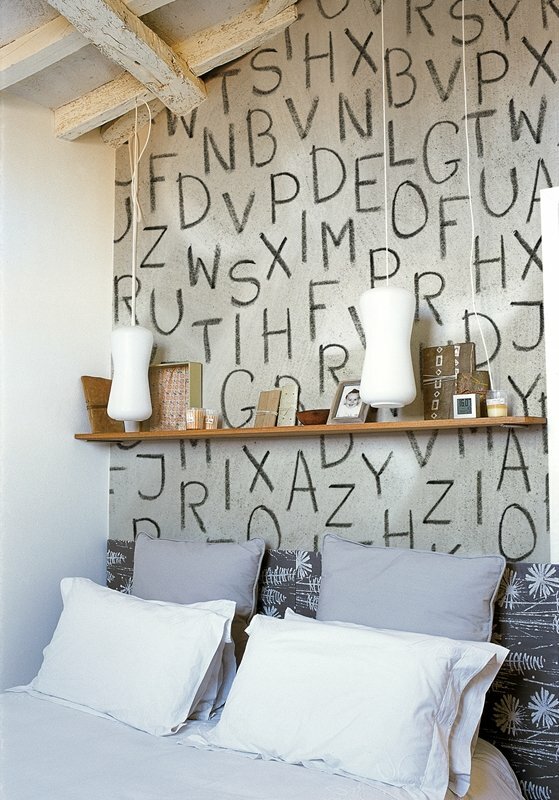 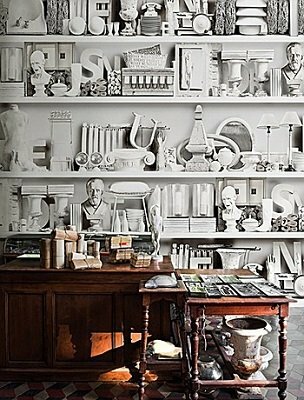 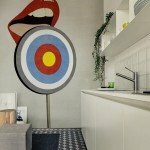 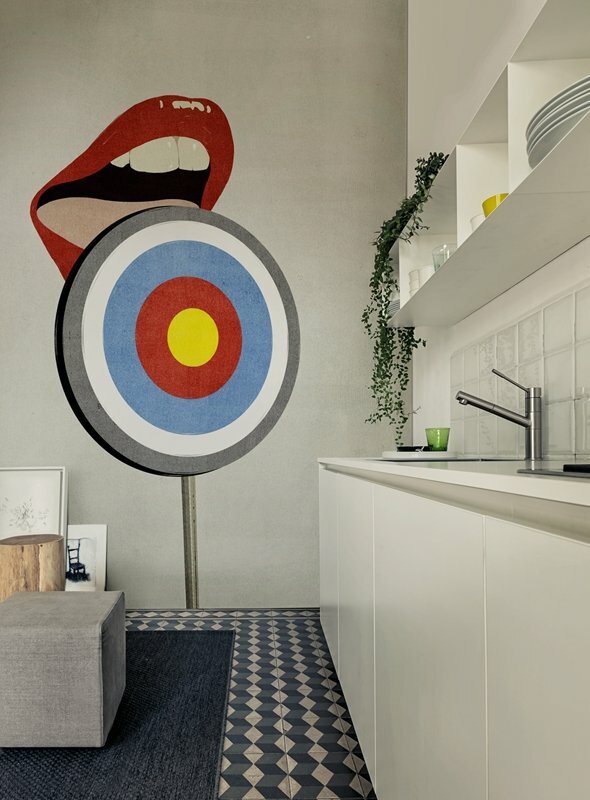 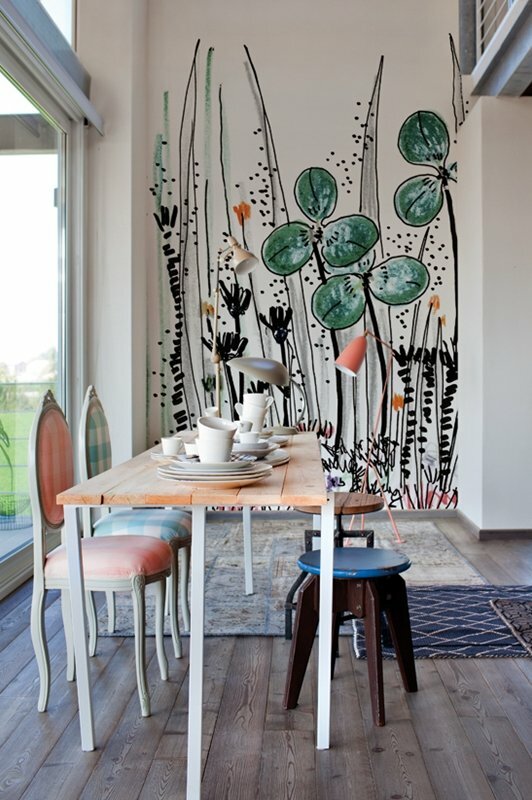 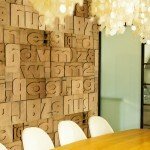 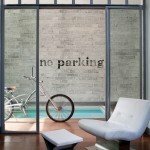 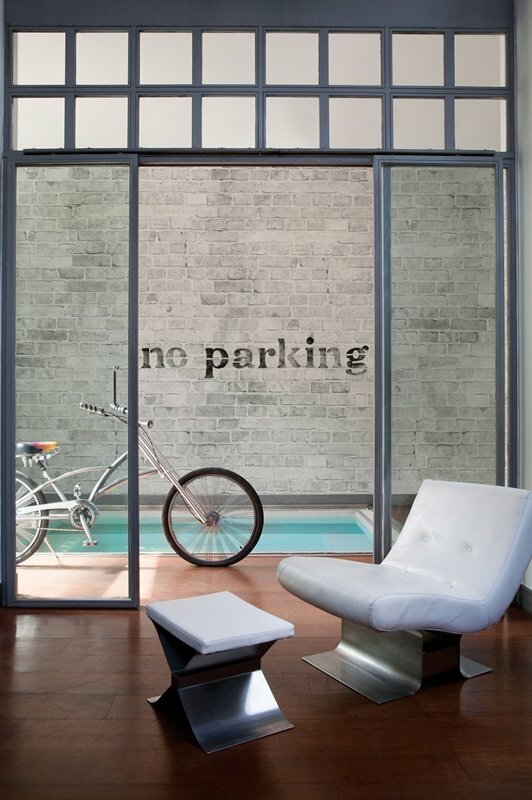 Writings on wallpapers prove to be a very interesting artistic measure, ideally find themselves in kitchens and offices. 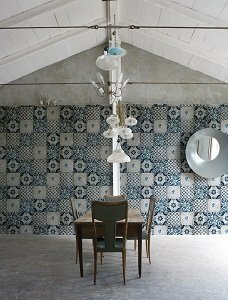 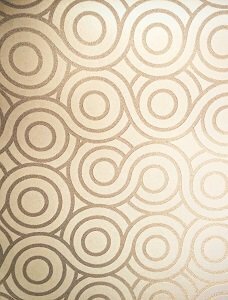 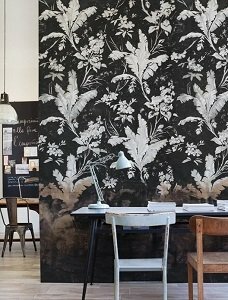 Wallpapers in retro style are characterized by the diversity of designs and shades, they add lustre and positive energy to interiorc. 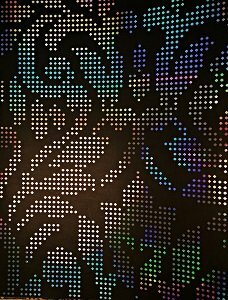 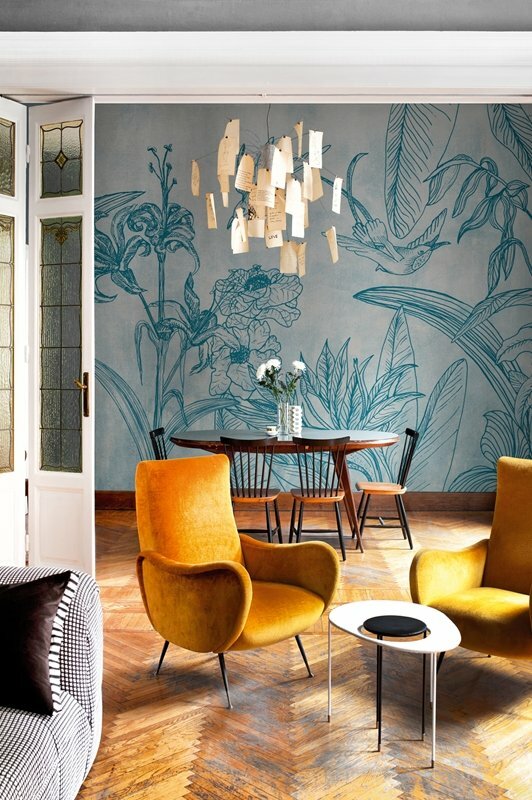 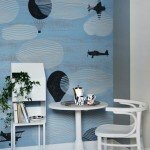 Retro wallpapers capture the imagination and reflective particles create light mirages. 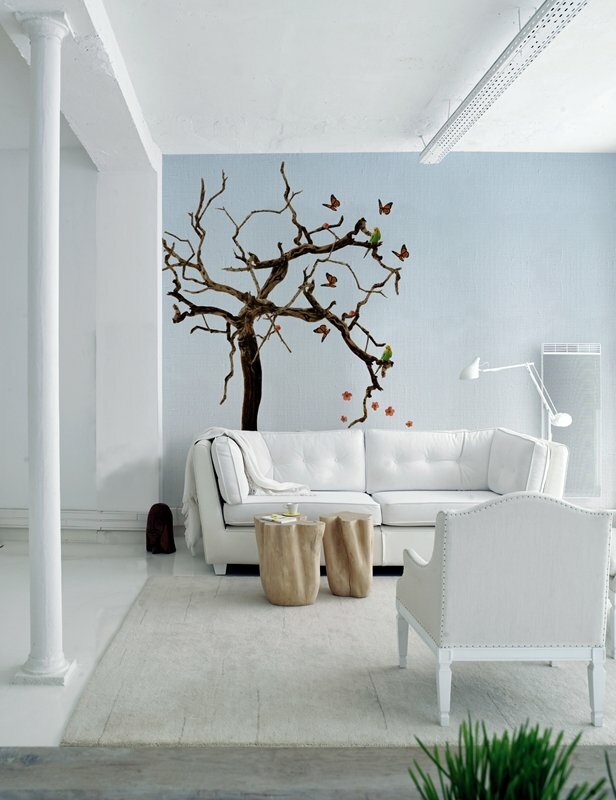 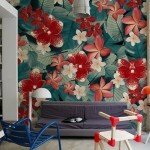 You should revitalize your interior design using colored wallpapers. Unusual patterns on shimmering background will both find themselves in the interiors of classic and modern interiors, characterized by simplicity. 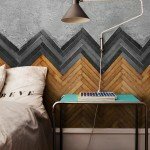 Wallpapers of rough material adds flavor to your interiors and killing the boredom. 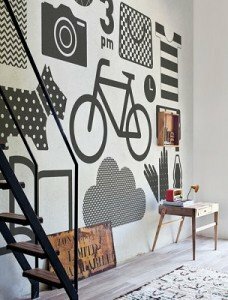 Wallpapers of patterns perfectly arrange the space so that it does not need a lot of extras to make it unique. 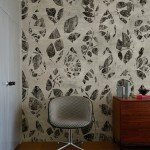 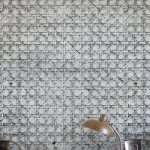 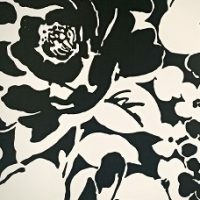 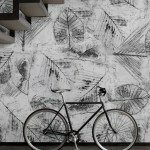 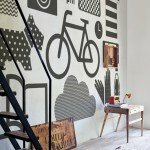 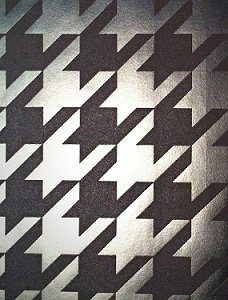 Wallpaper in retro style – black and white patterns. 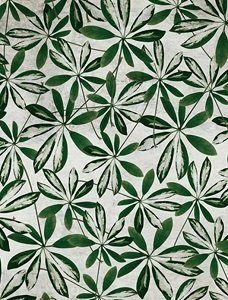 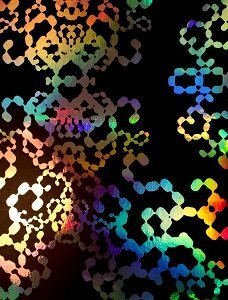 Wallpapers that join their patterns making an interesting picture. 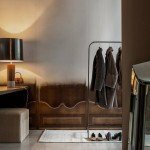 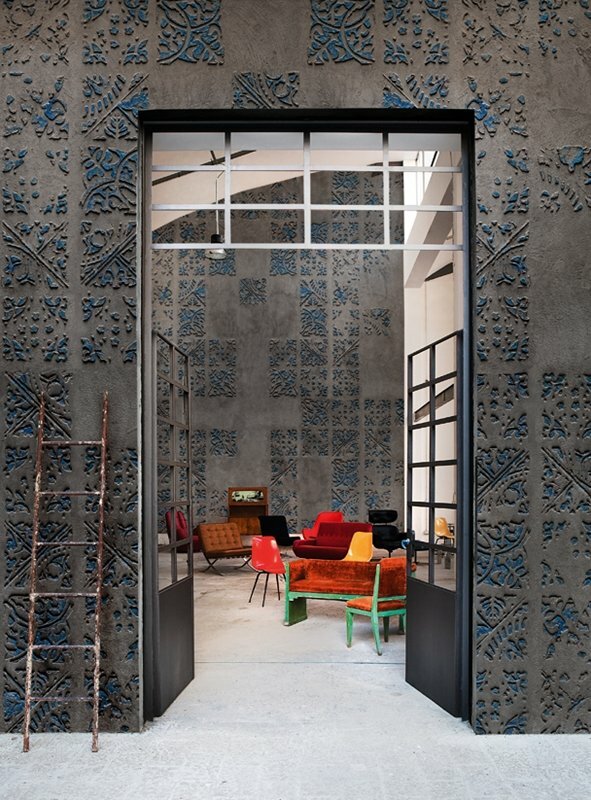 A large number of small elements, creating interesting patterns and livening the interior. 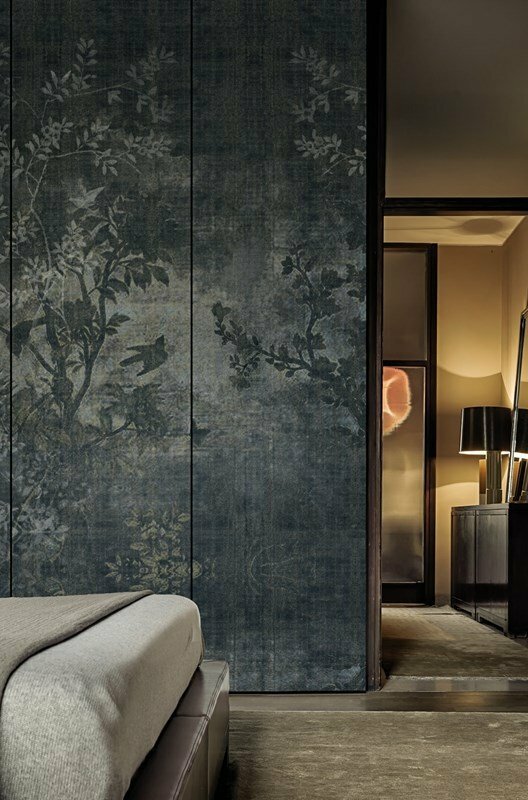 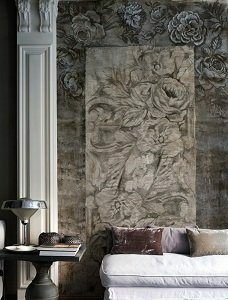 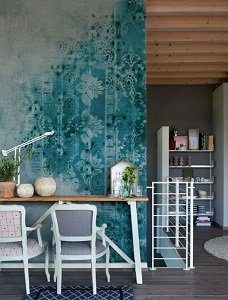 Wallpaper, which produces the illusion of boards on the wall is an interesting measure to enrich its interior with an artistic value. 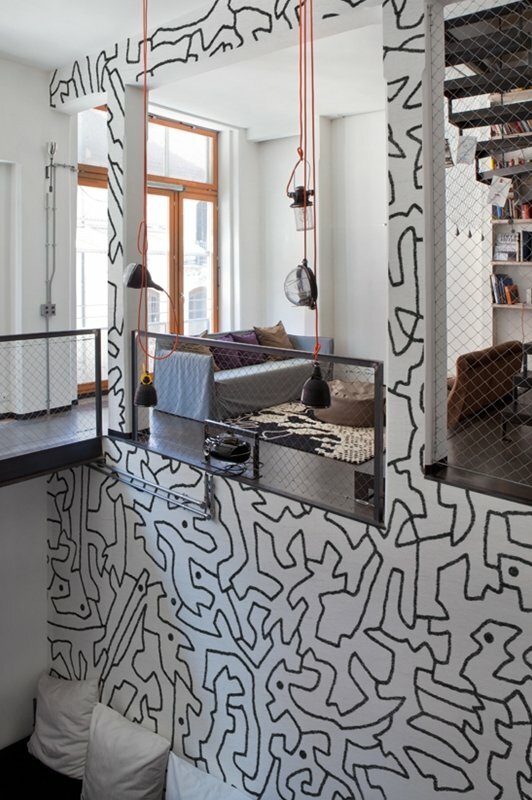 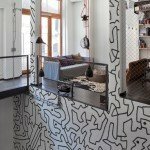 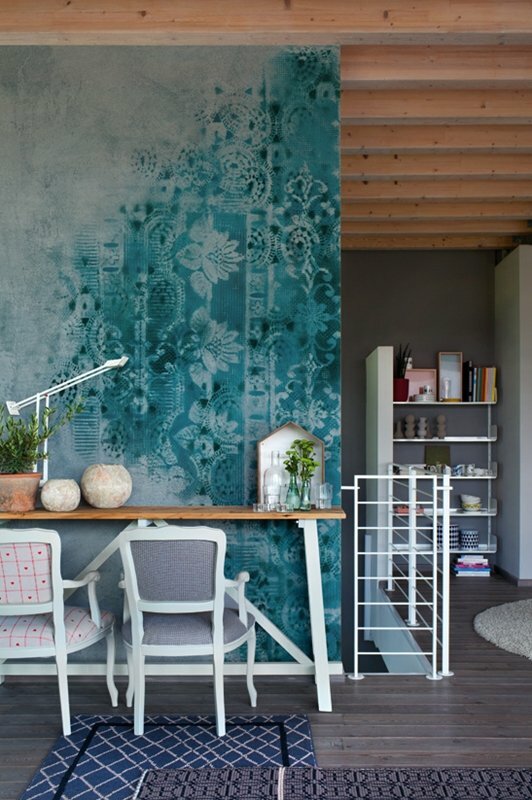 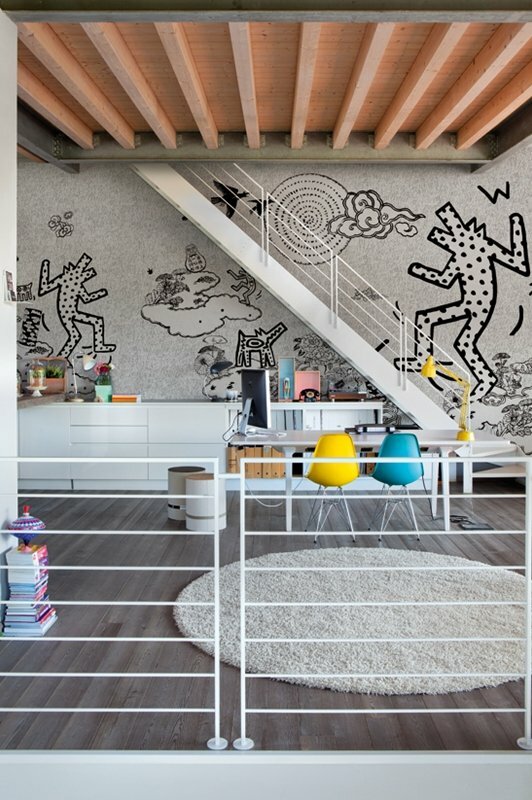 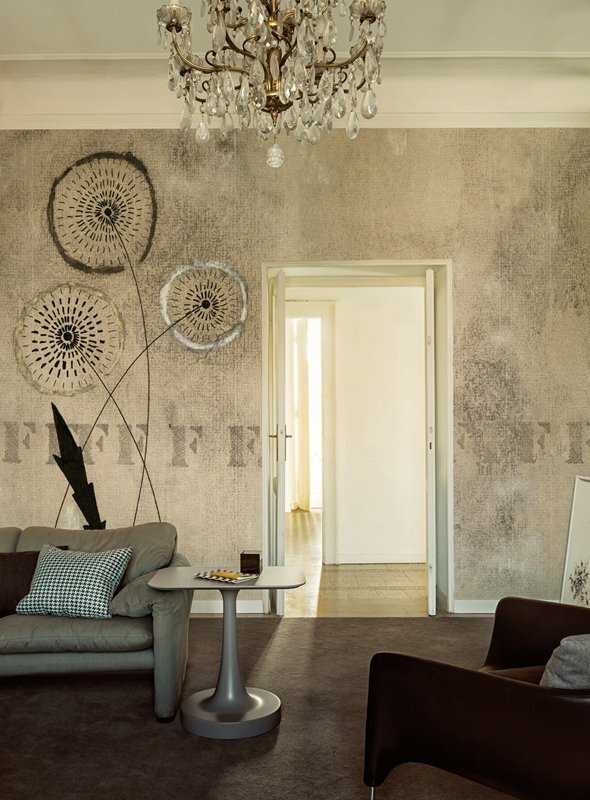 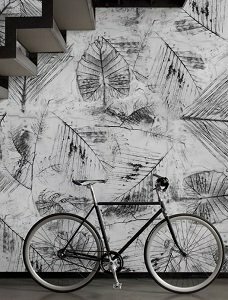 Mess-like wallpapers resembling paint spilled on the wall, combined with interesting inscriptions can be amazing artistic measure for your apartment. 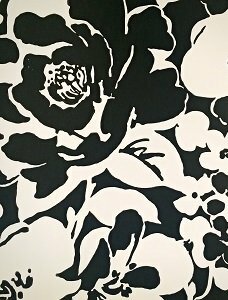 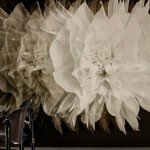 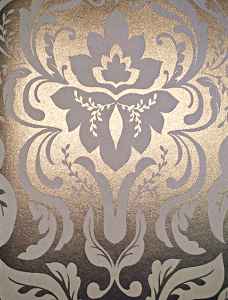 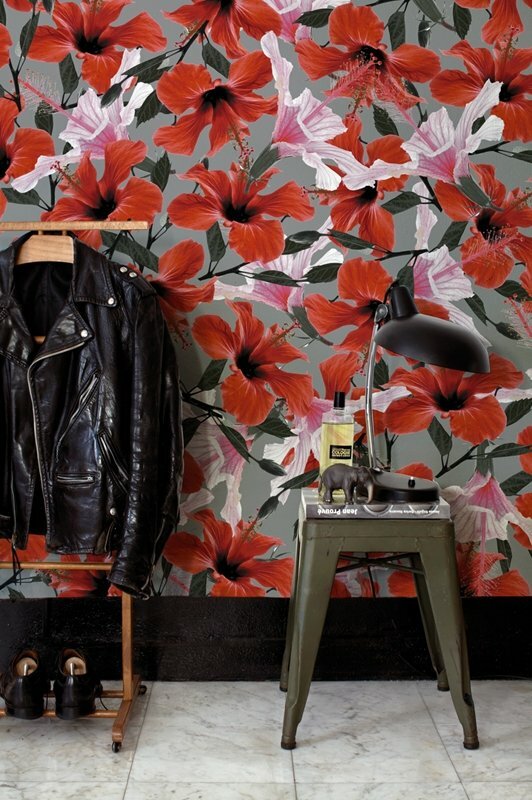 Wallpaper created with various floral ornaments, merging into one coherent whole. 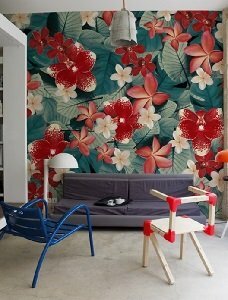 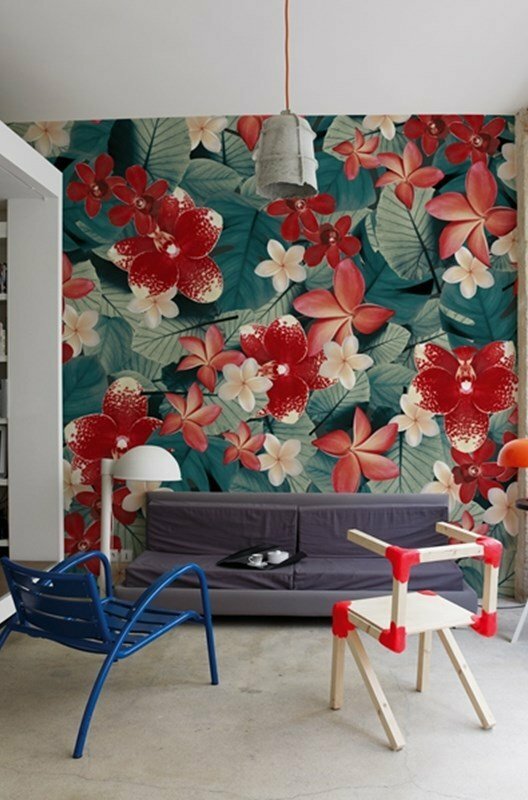 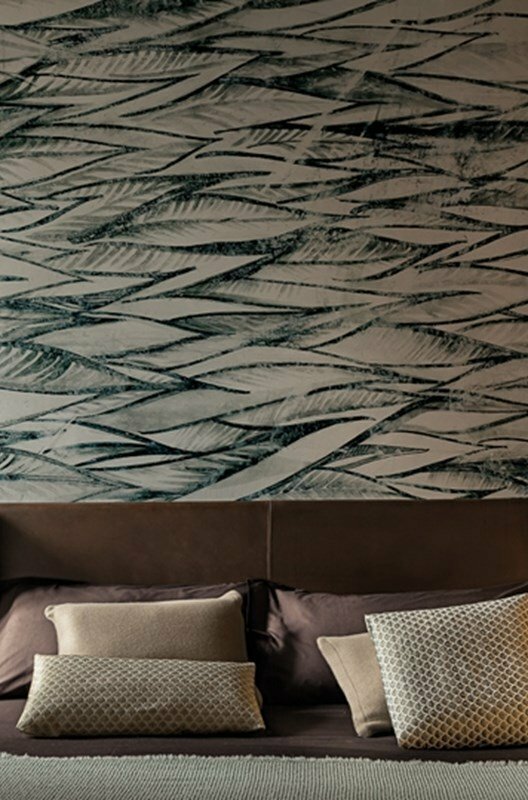 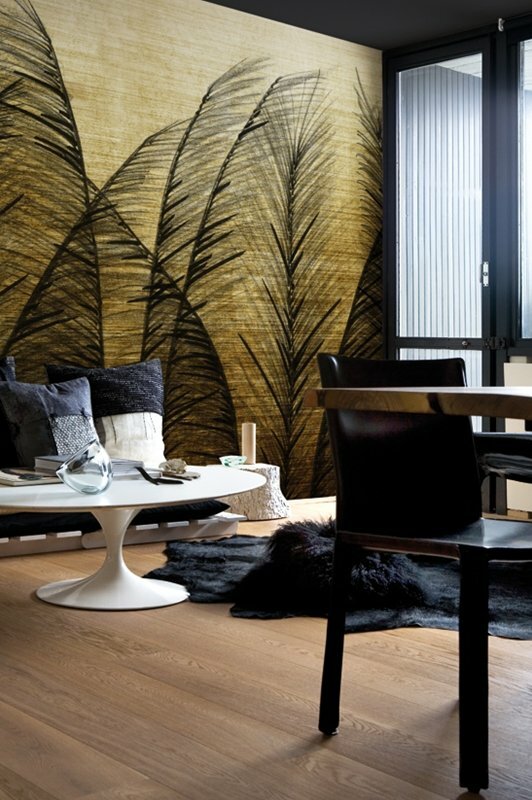 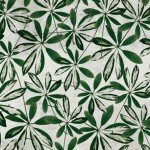 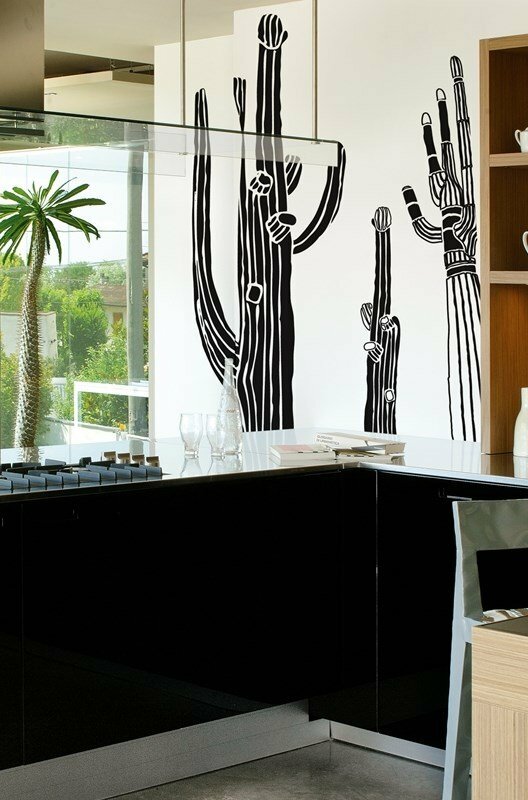 Wallpaper that animates your interior, introducing in a good mood with its tropical climate. 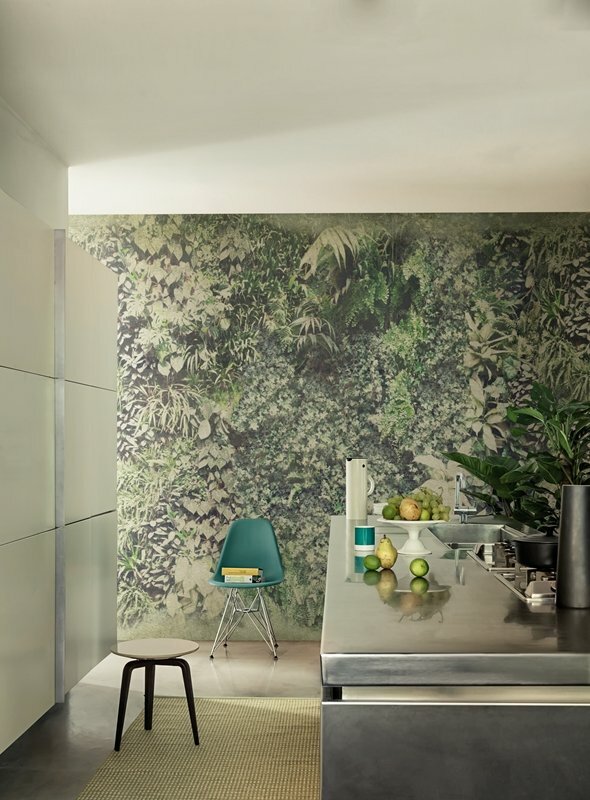 It animates the interior, giving the feeling of a jungle wallpaper for unusual interiors. 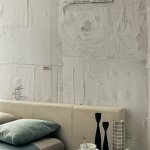 Currently, mess and the effect of destruction is an interesting artistic phenomenon, at the same time preserving the best quality materials. 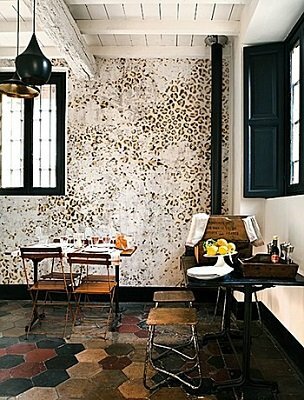 Wallpaper composing an interesting mosaic on the wall, creating the illusion of ceramic tiles. 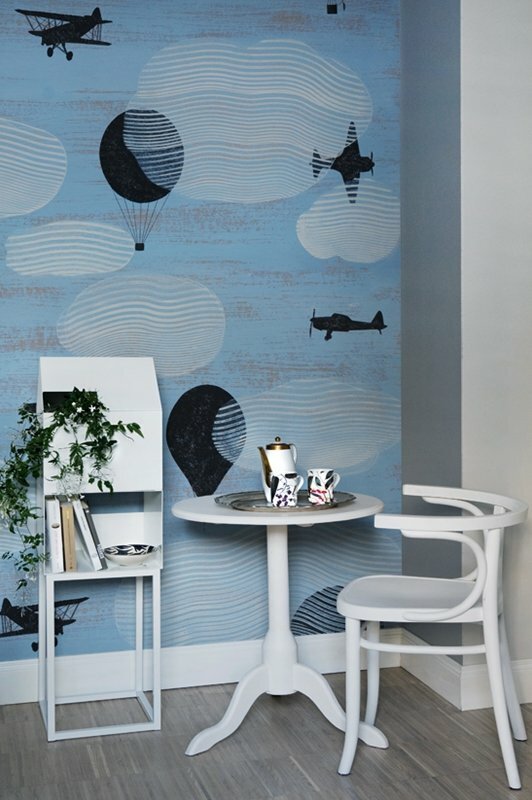 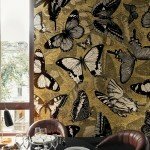 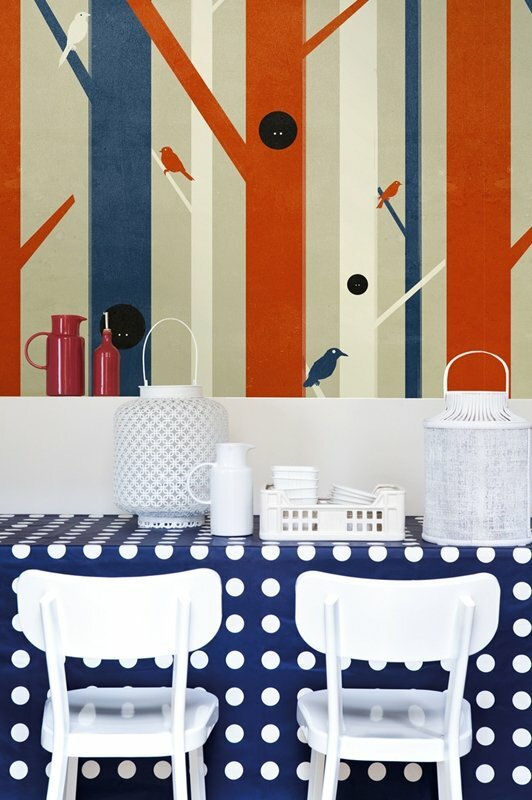 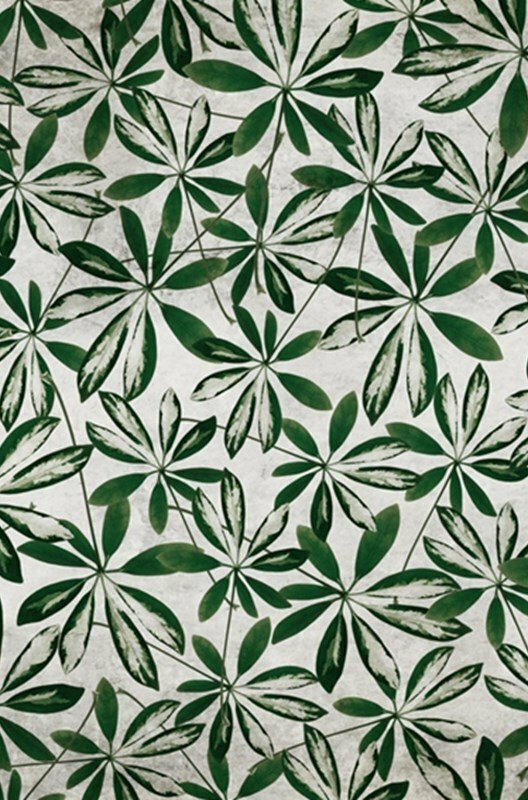 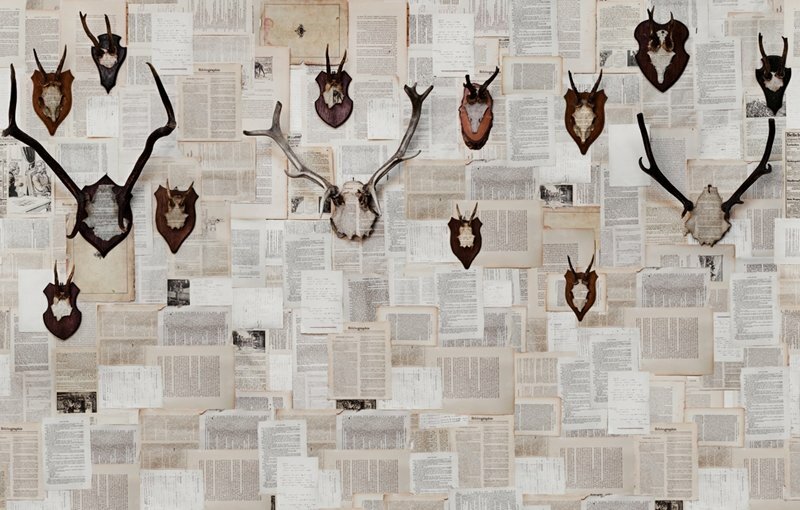 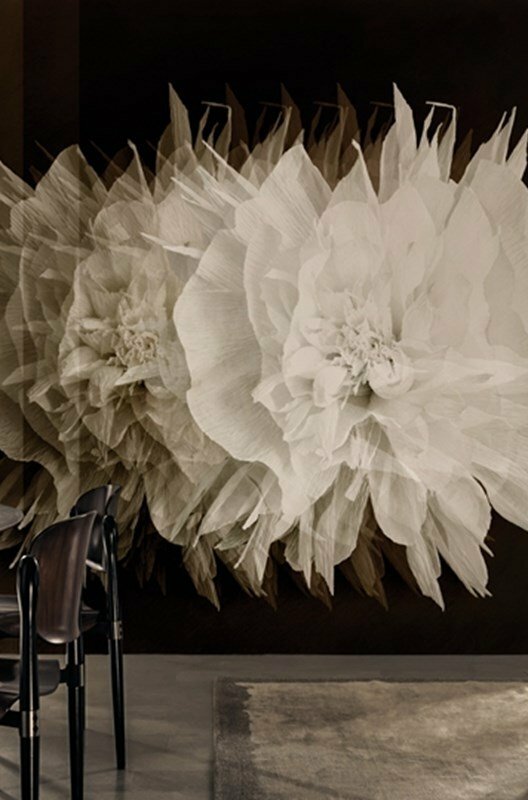 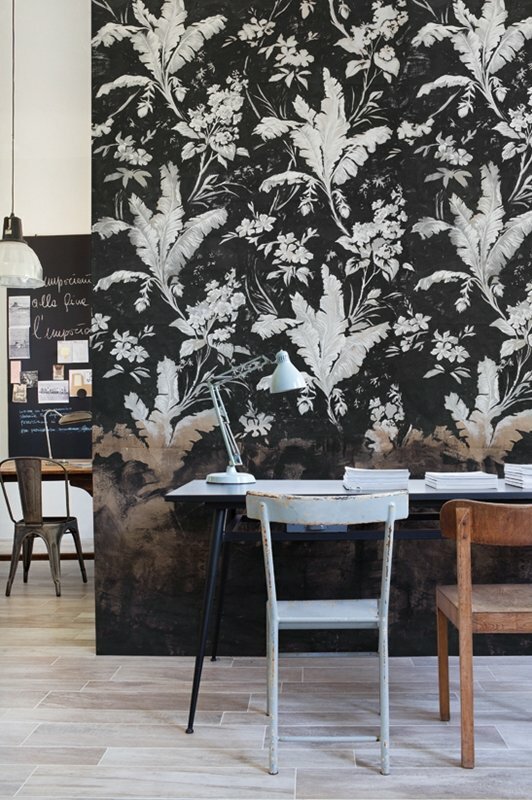 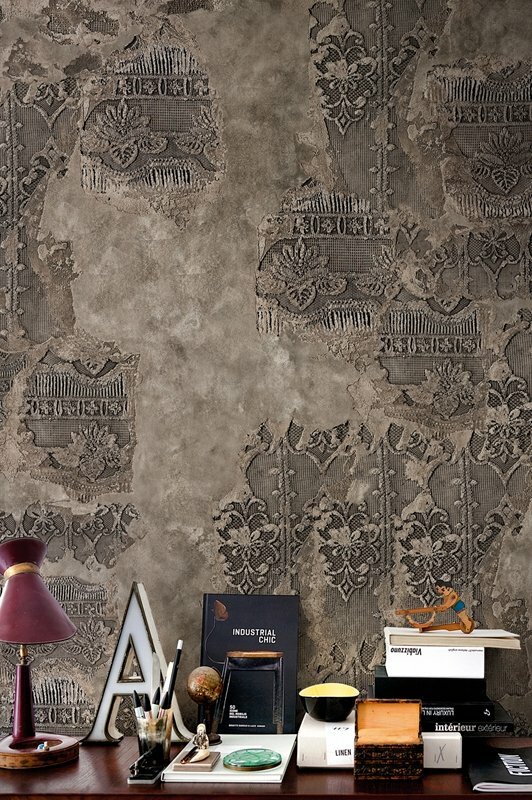 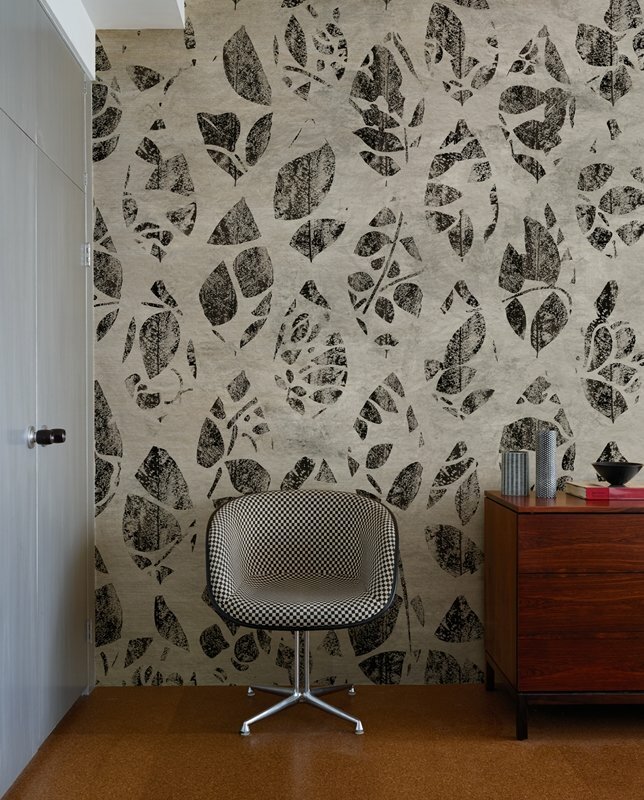 Phenomenal wallpaper in classic shades, perfectly suited to the dining room or living rooms. 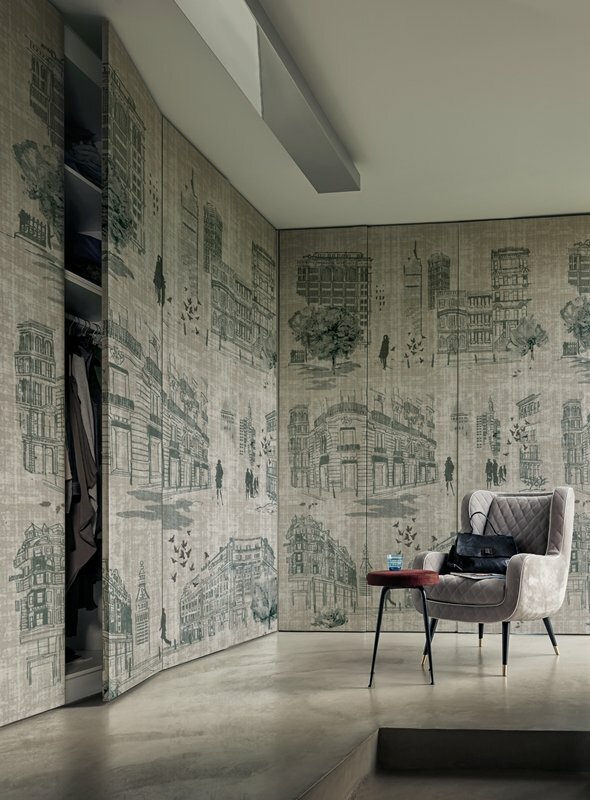 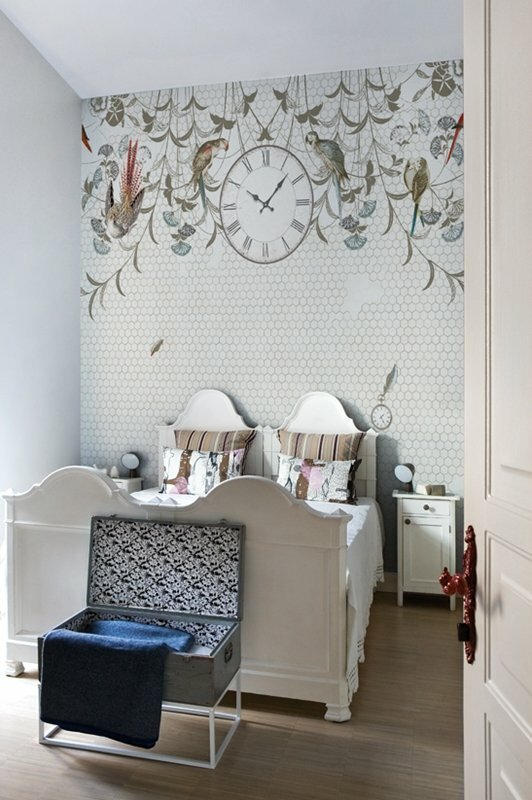 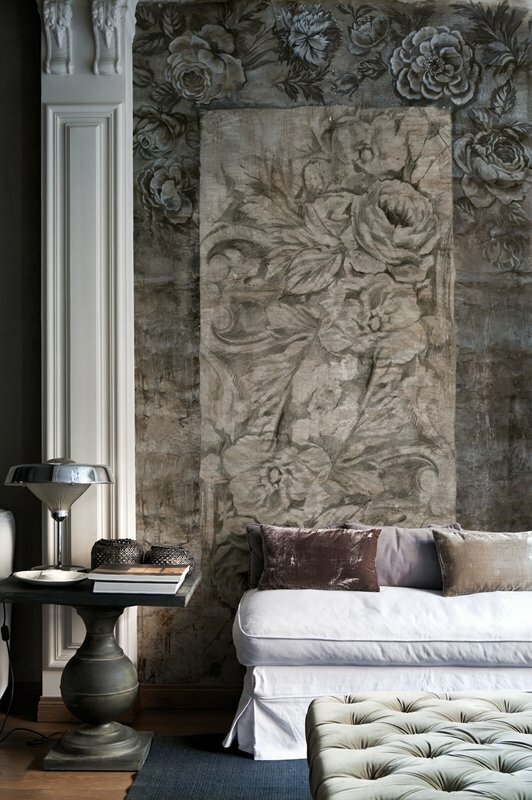 Wallpaper resembling a picture painted on the wall, enriching delicate interior. 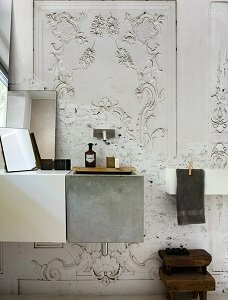 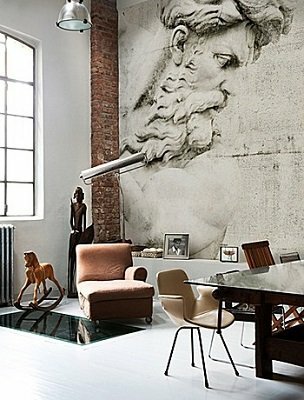 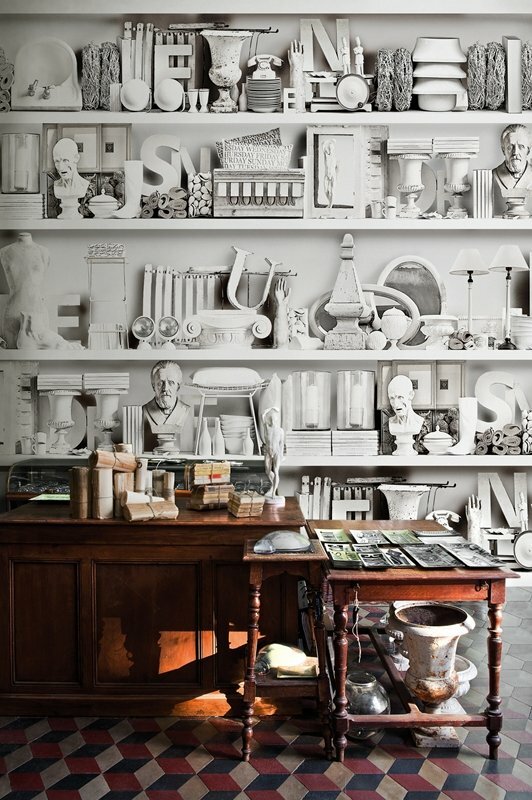 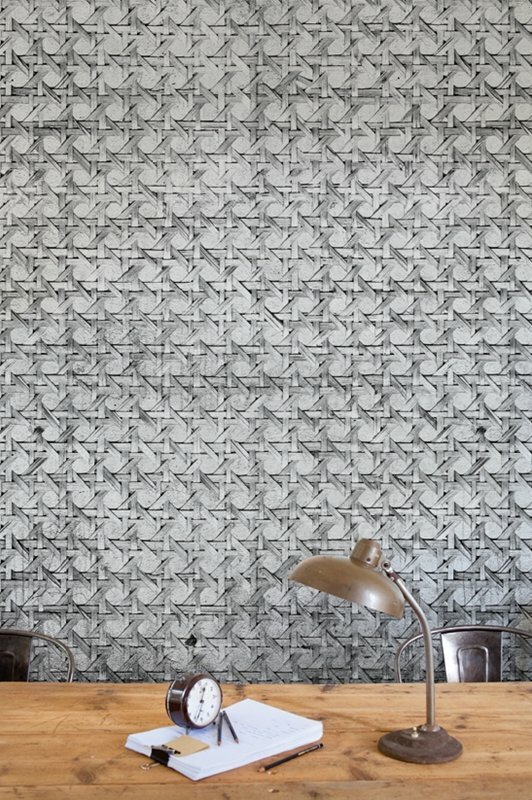 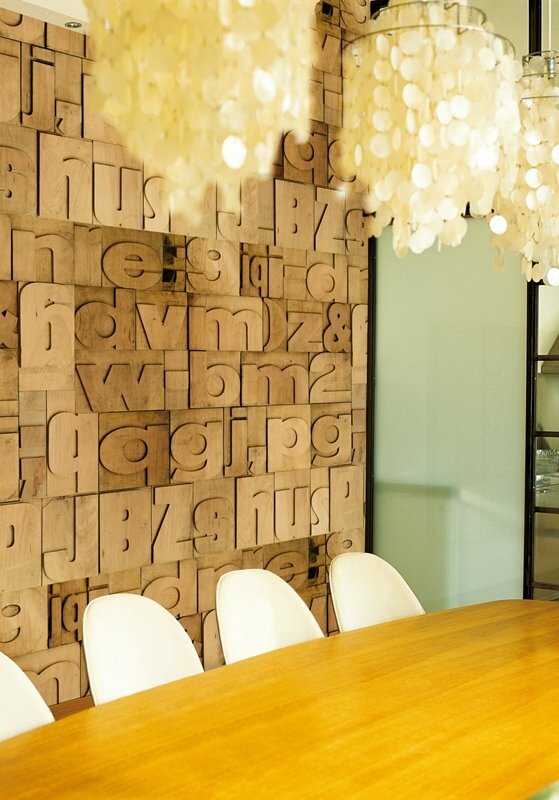 Wallpaper resembling carvings combined with white brick, ideal for industrial interiors. 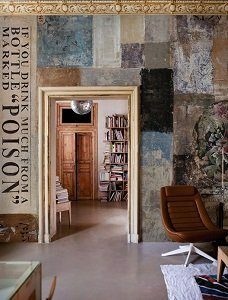 Colored wallpaper, the colors gradually fade, giving the impression of faded wallpaper. 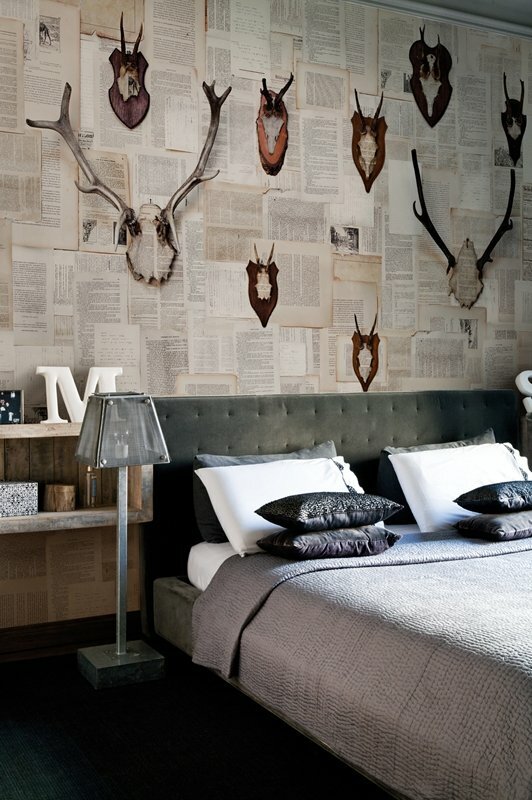 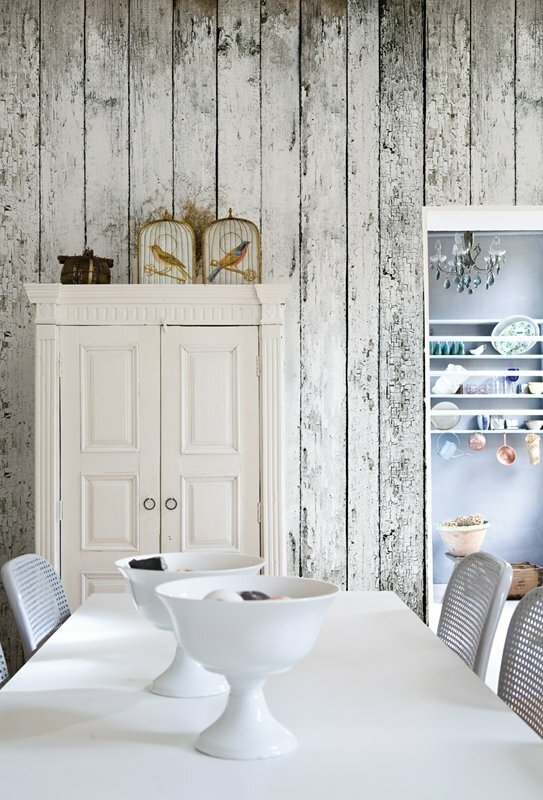 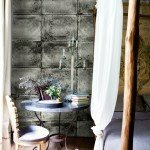 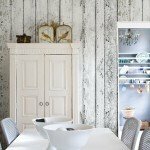 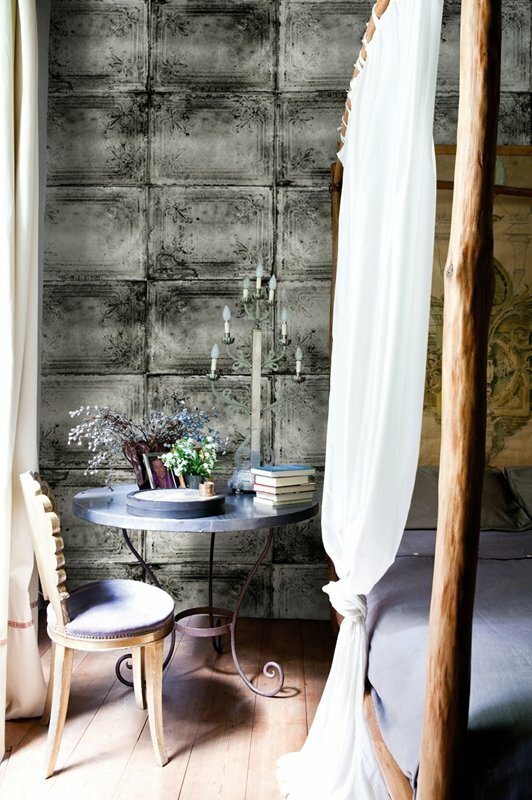 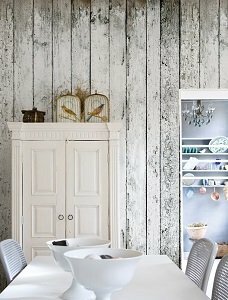 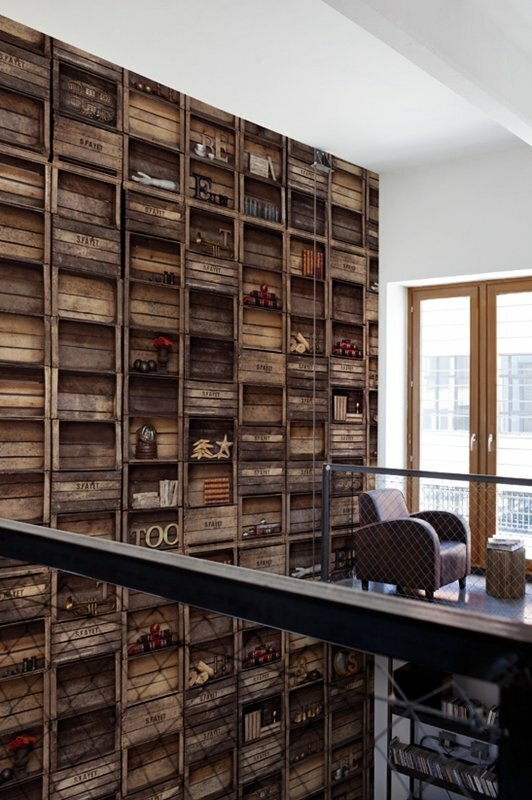 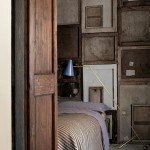 Wallpaper resembling rustic planks in a white shade. 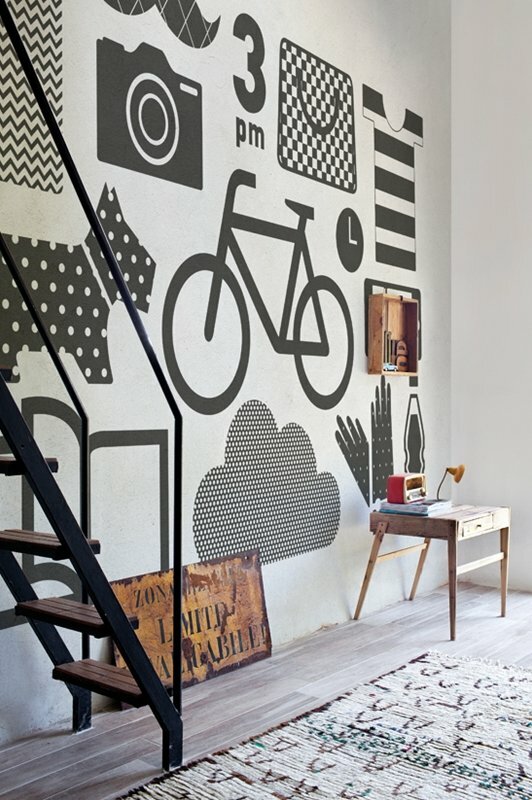 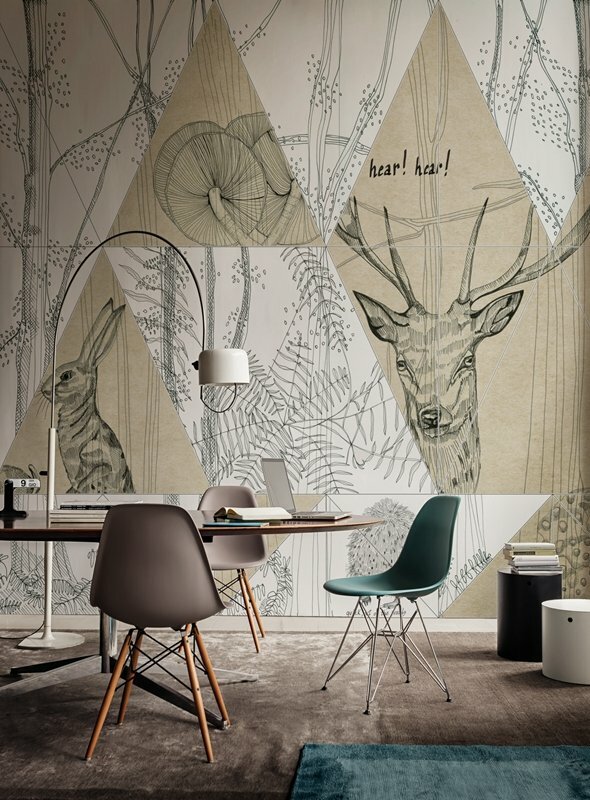 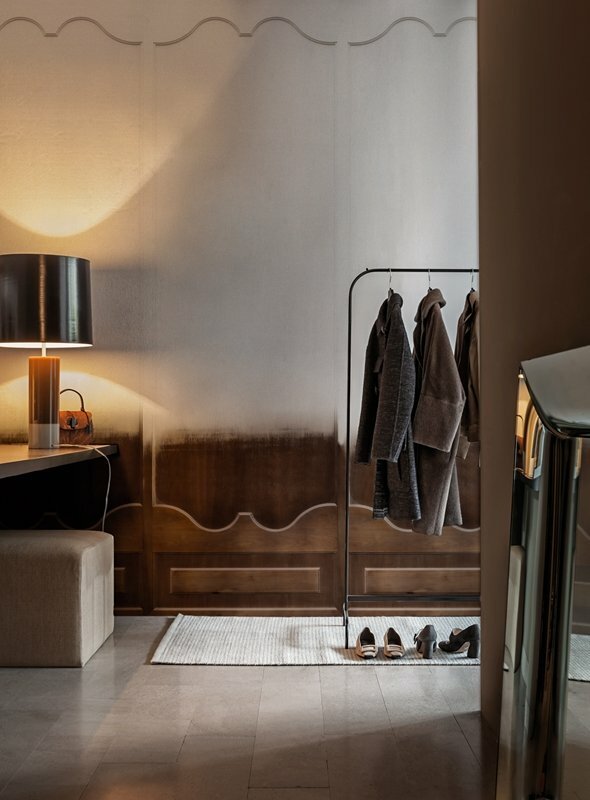 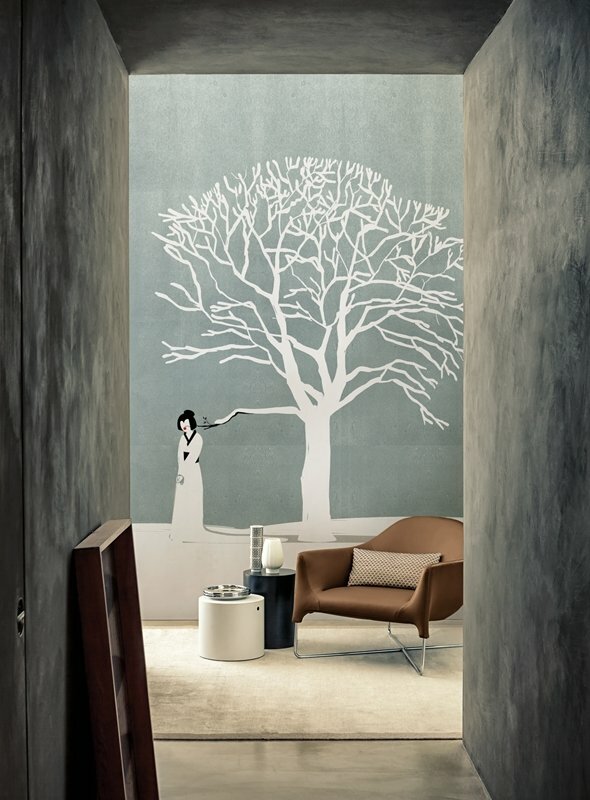 Interesting graphic wallpaper, it may be a good option for enriching or enlarging corridors and lounges. 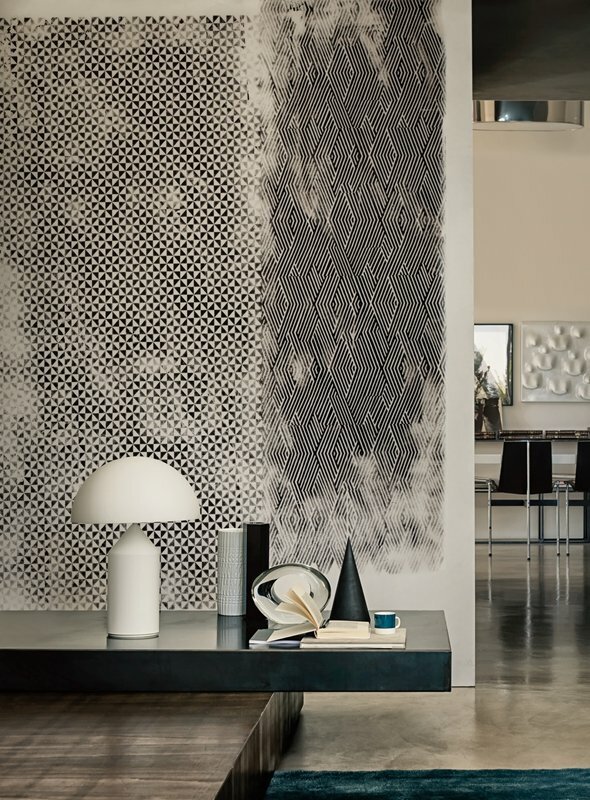 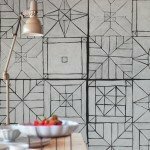 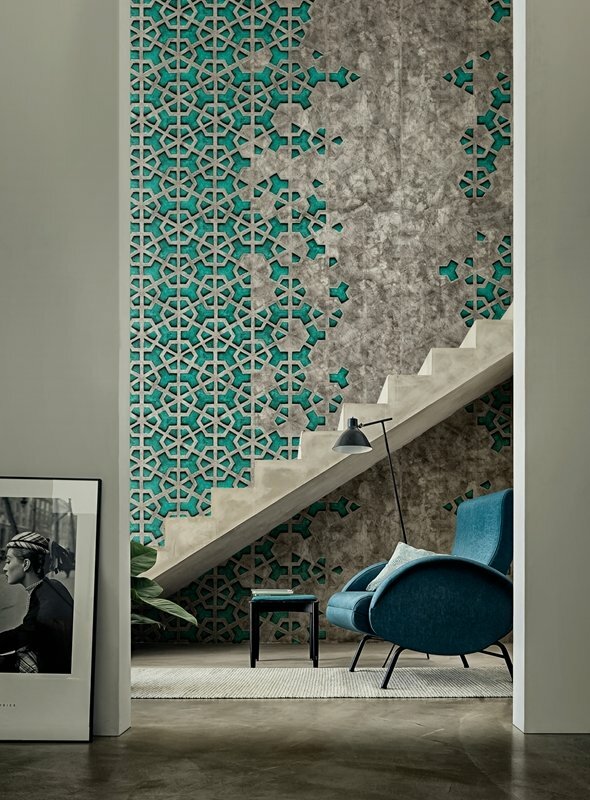 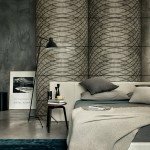 Concrete-like wallpaper resembling concrete slabs, enriched with numerous patterns. 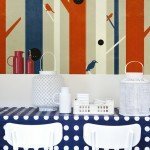 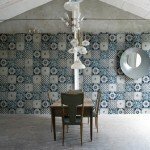 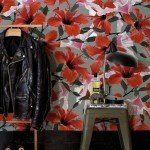 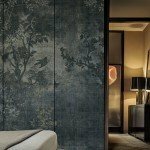 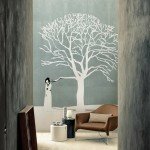 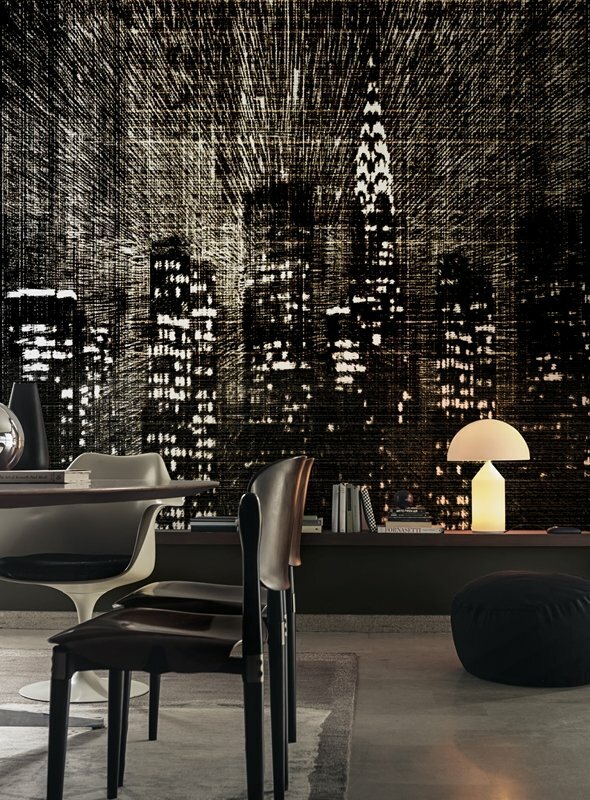 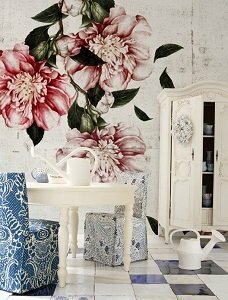 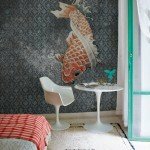 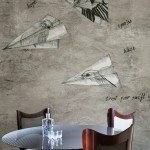 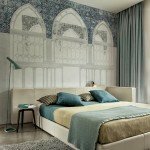 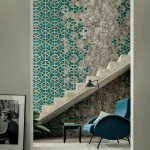 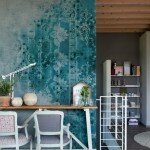 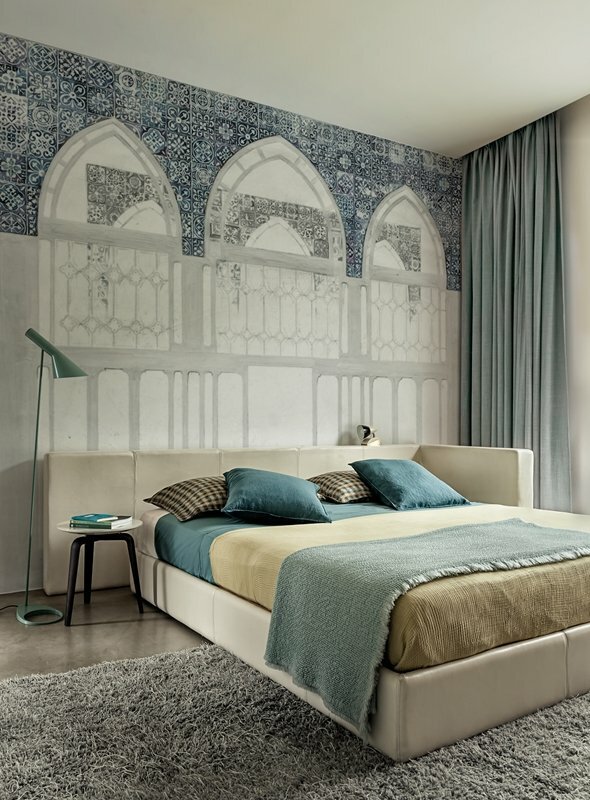 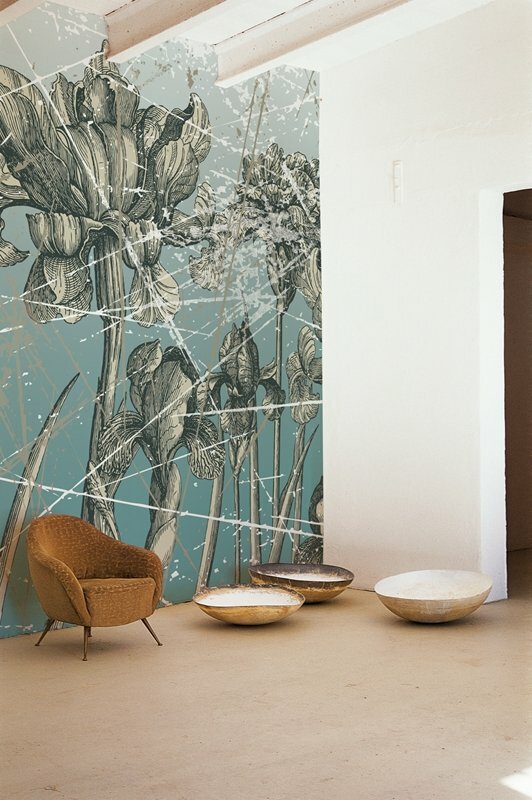 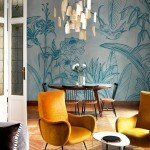 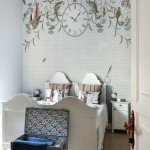 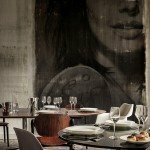 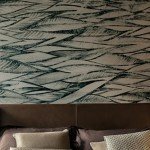 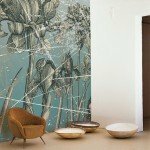 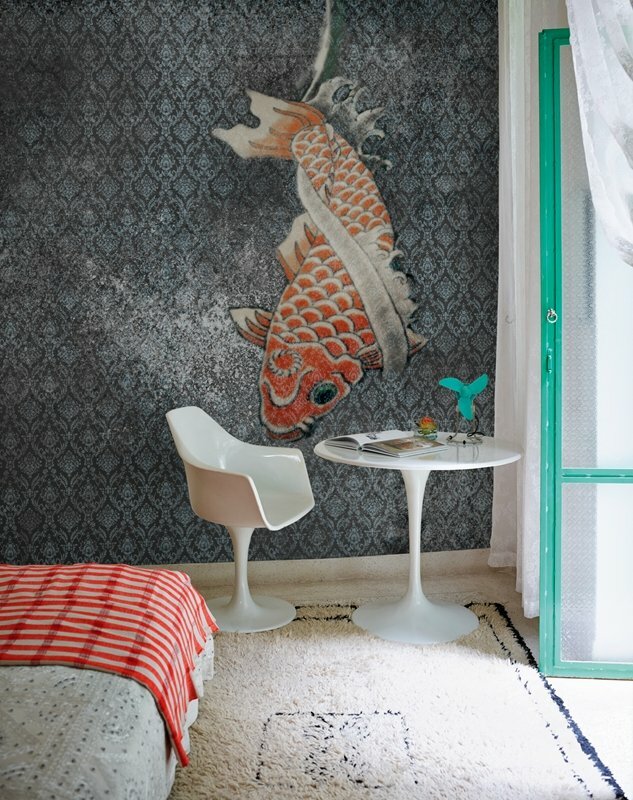 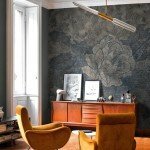 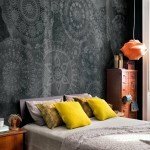 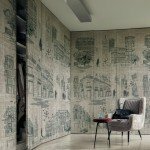 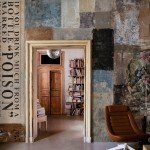 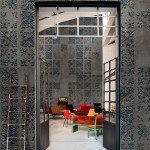 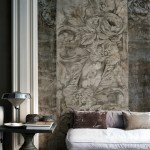 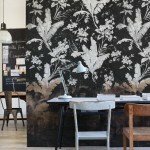 Through the use of an artistic wallpaper you can give a new dimension to your interior and make it absolutely unique. 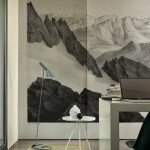 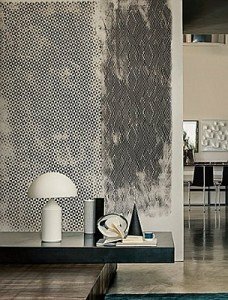 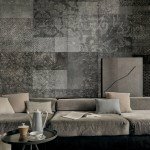 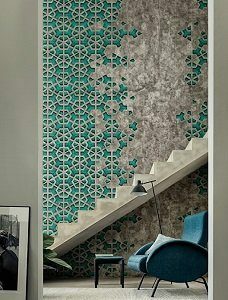 Wallpapers, which leitmotives are patterns and all kinds of ornaments create artistic mirages and optical illusions that create a specific taste and originality. 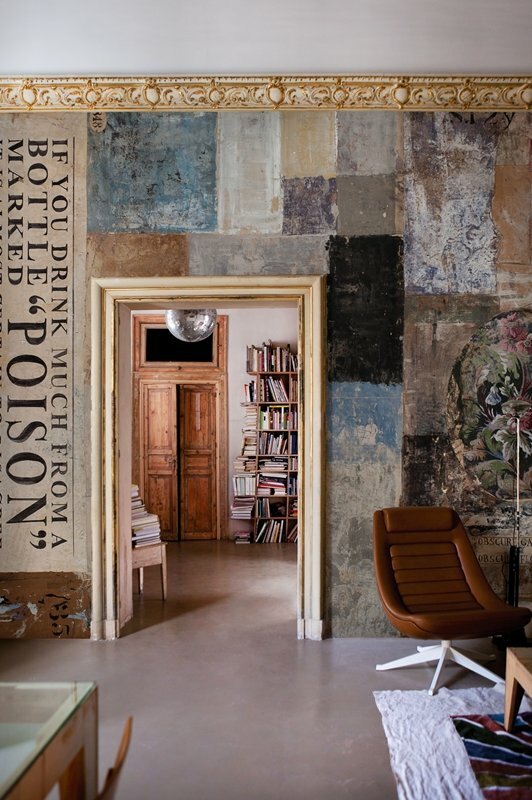 The combination of various “images” completely mismatched to each other, can help to create intriguing effects. 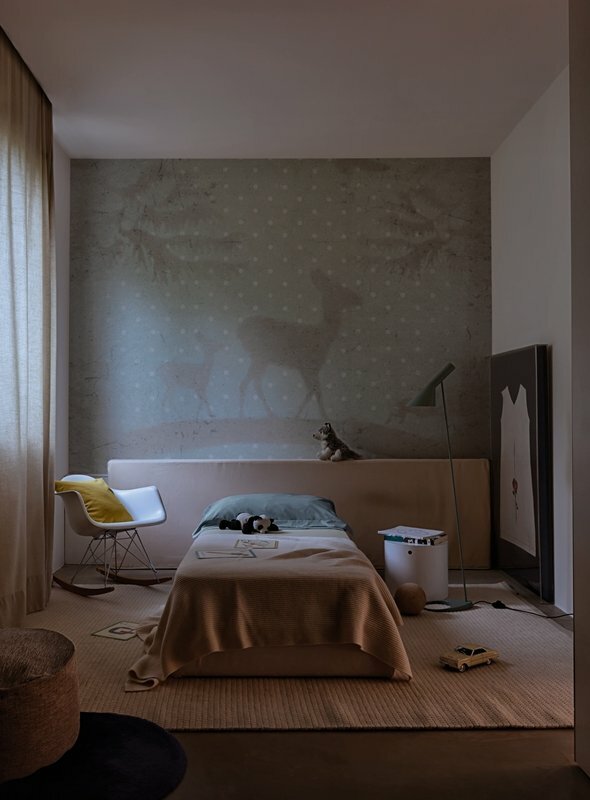 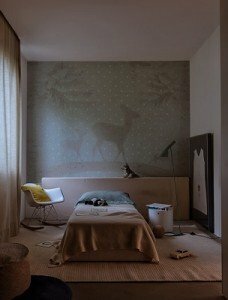 Delicate wallpapers in pastel shades with animals are ideal for children’s room, giving them a magical dimension and charm, they capture the imagination. 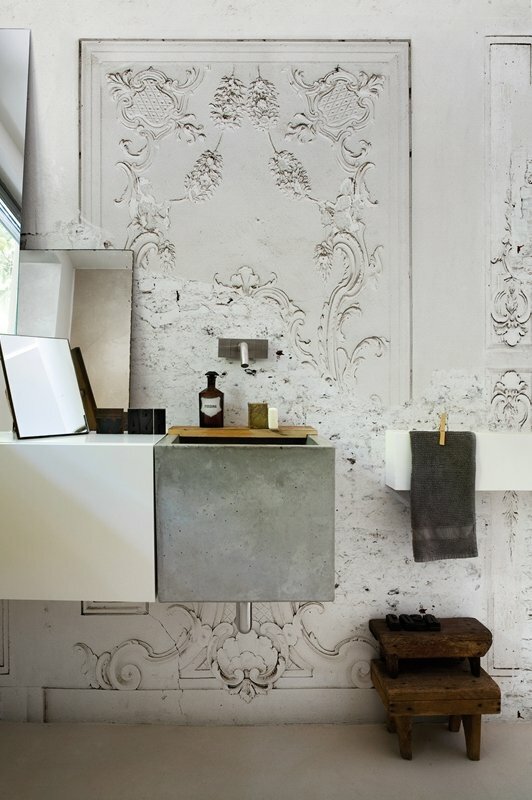 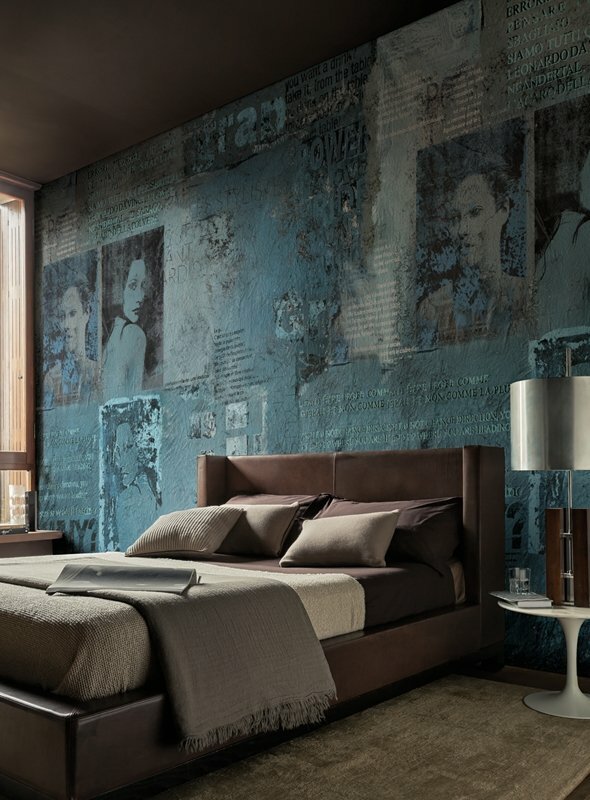 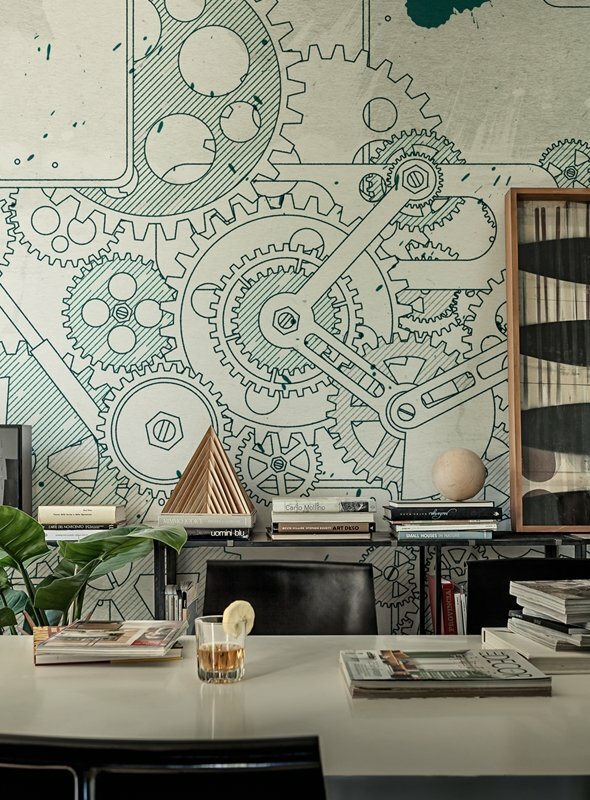 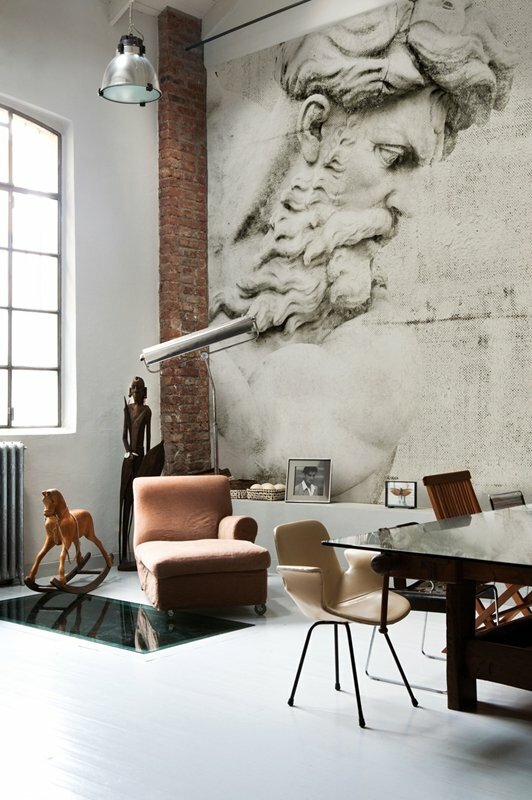 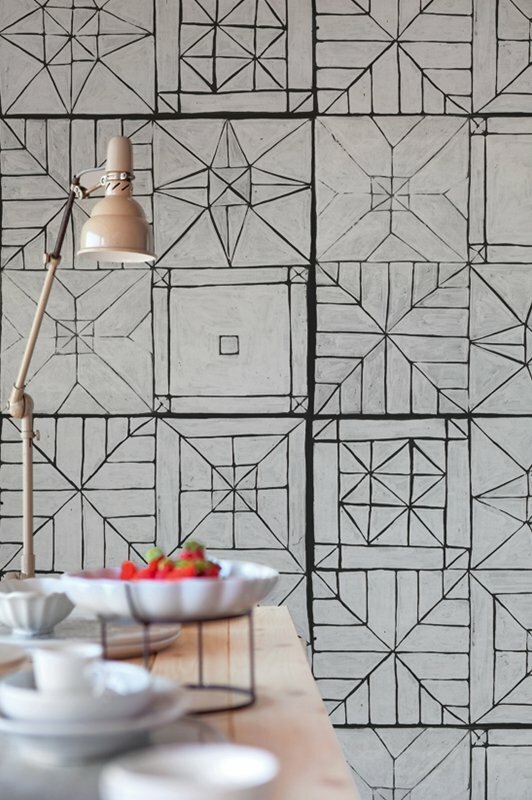 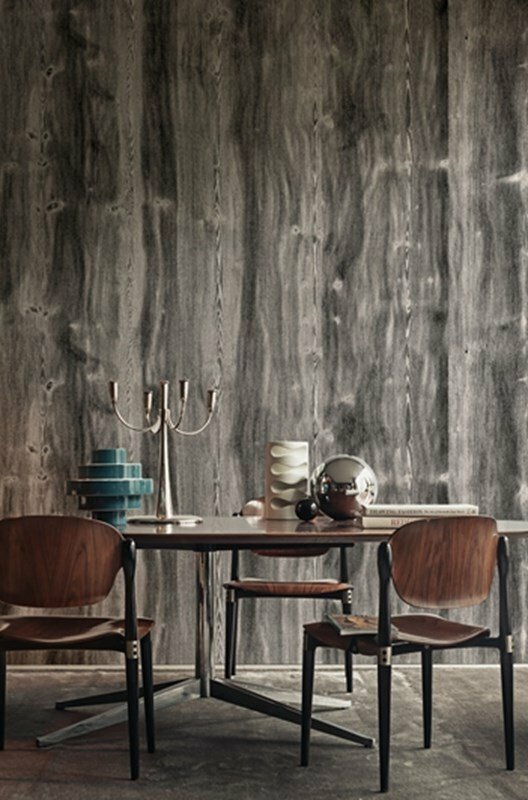 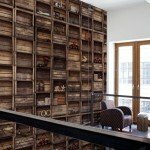 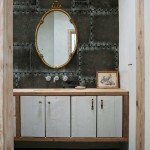 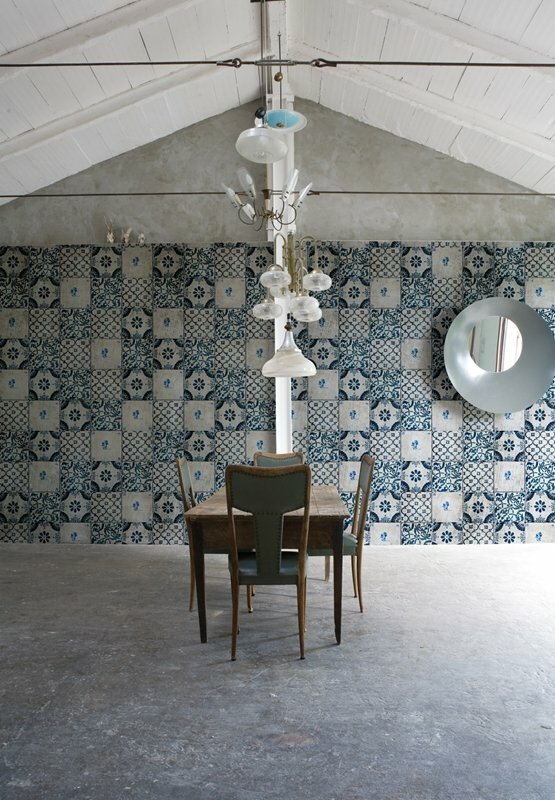 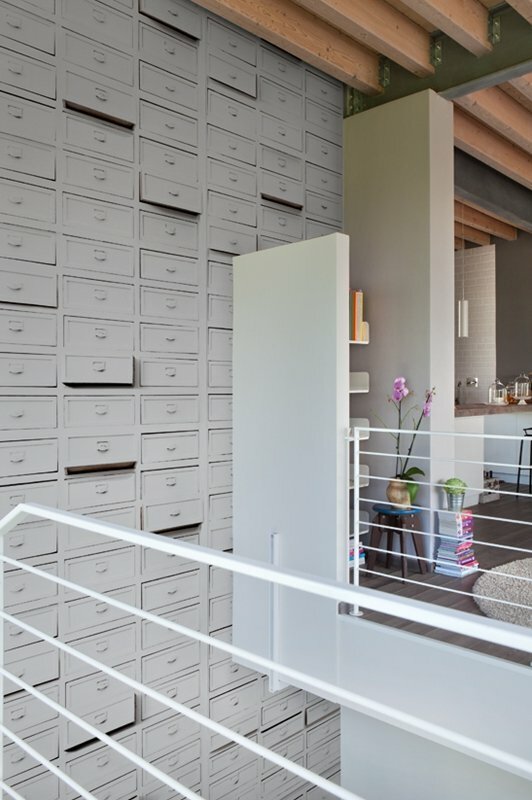 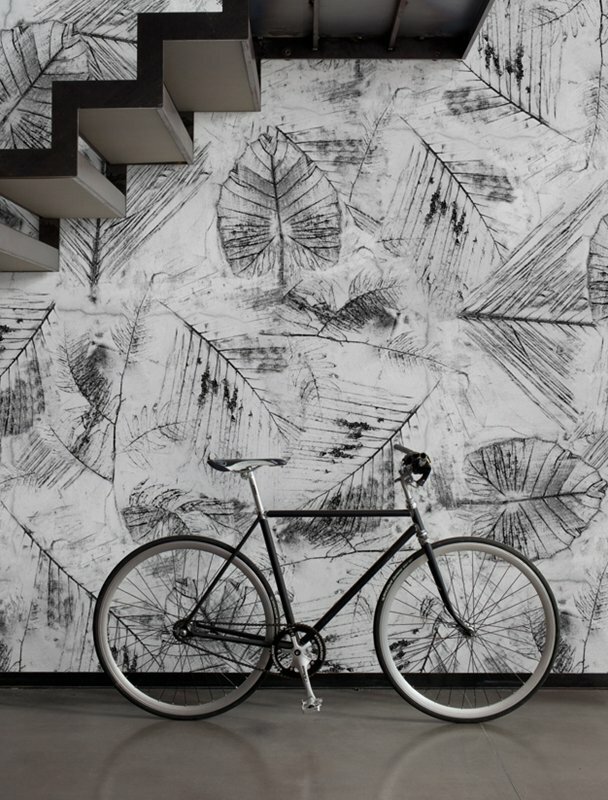 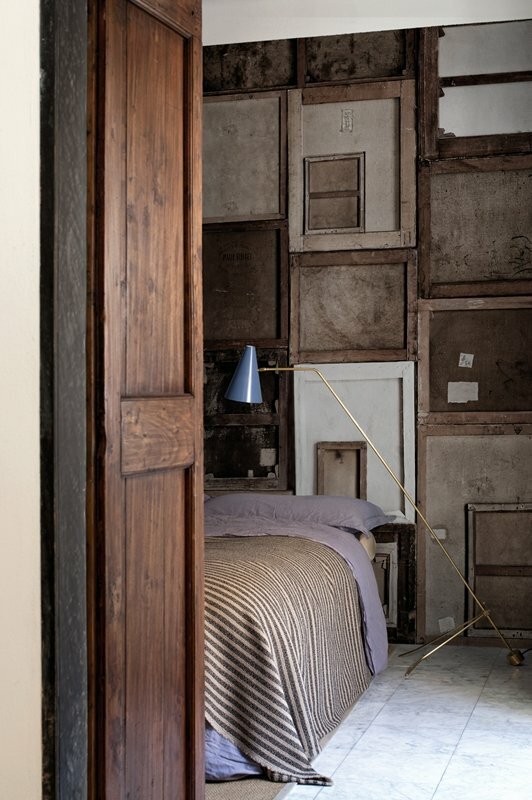 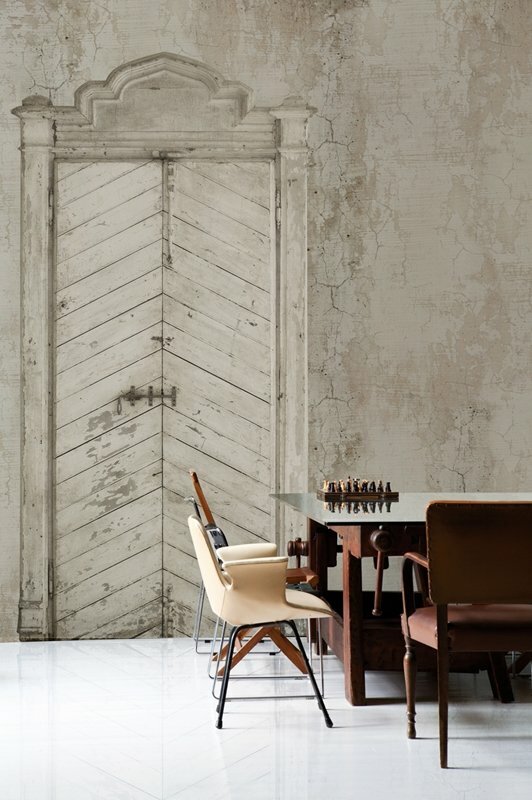 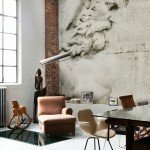 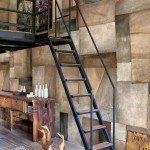 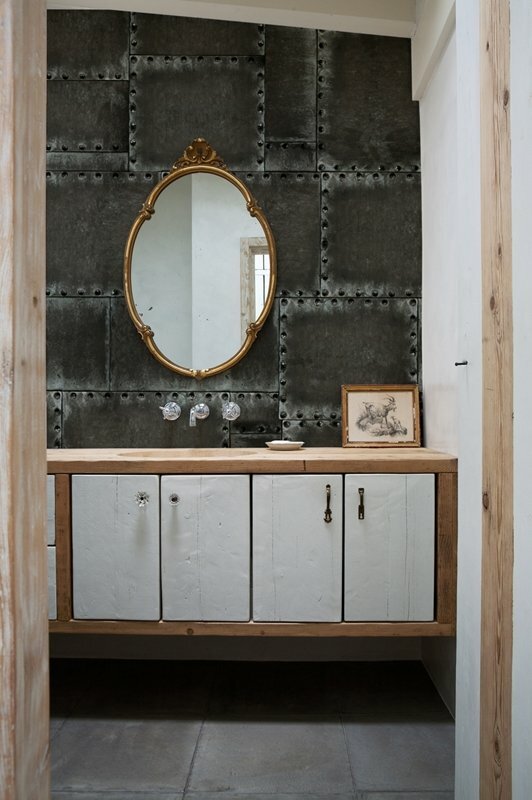 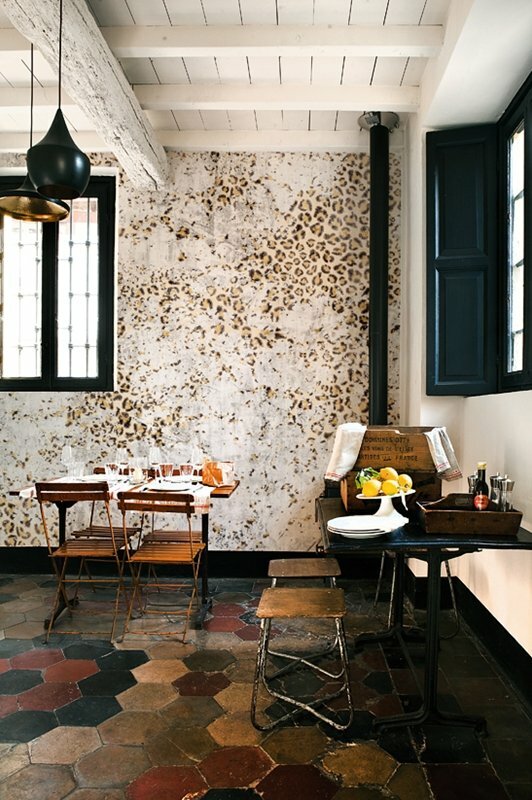 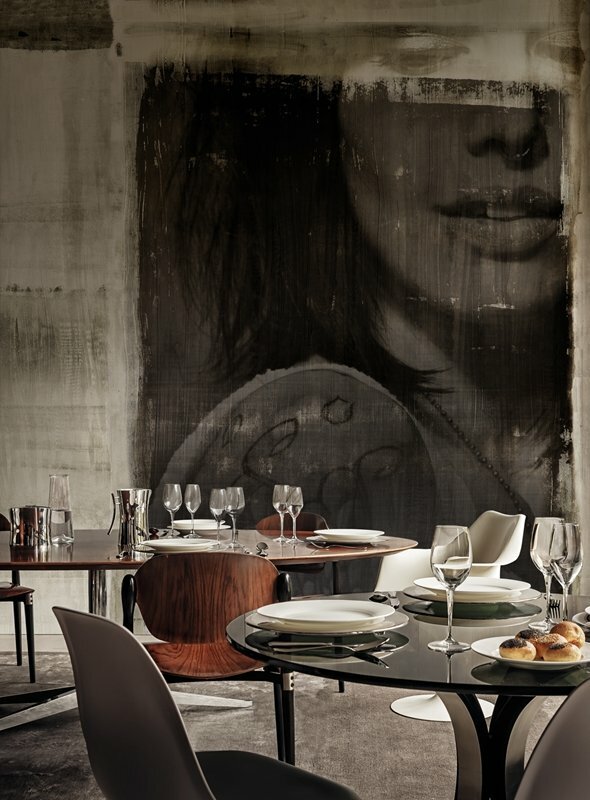 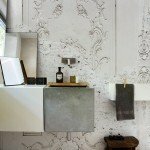 Industrial, raw interiors should be enriched with equally raw wallpapers. 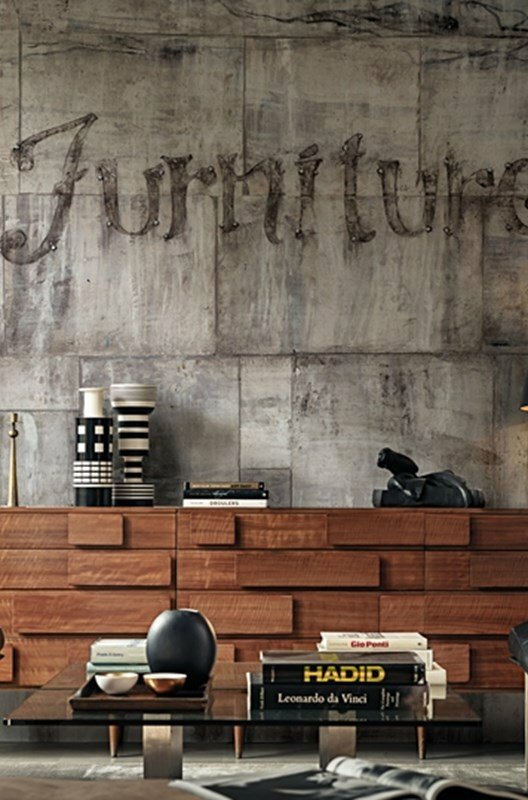 Specially created so as to give the effect of abrasion and destruction, they perfectly blend with the rest of the equipment: raw wood, brick, white paint and black elements. Graphic disorder, all sorts of patterns, forest ornaments, geometric forms – all these add unusual visual effects not only to a large interior, but also the smallest ones. 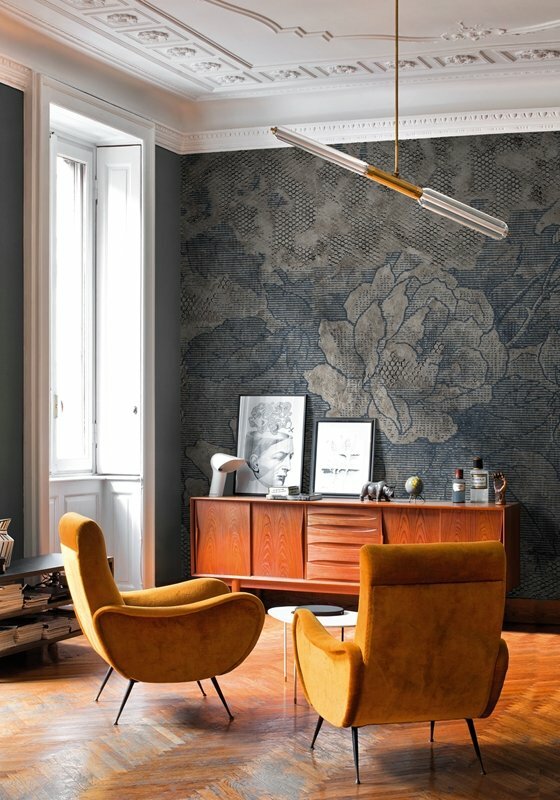 Carefully chosen extras in the apartment harmonize with that wallpaper to create an original design. 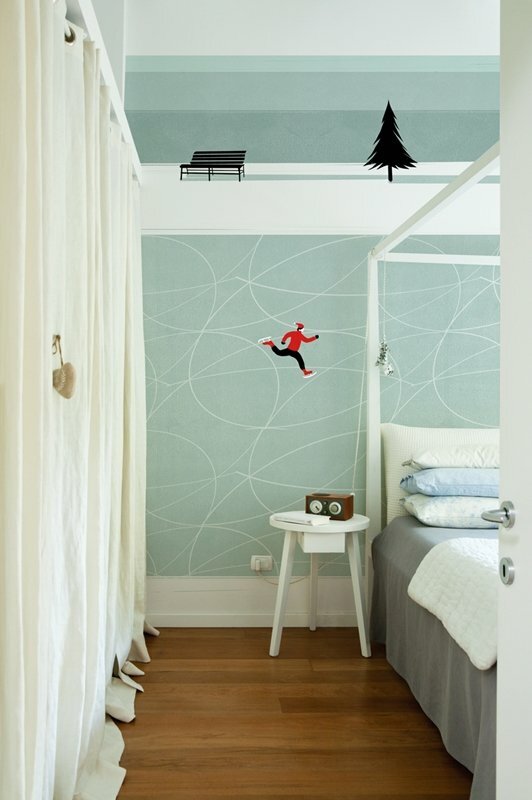 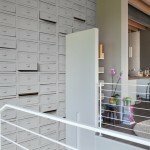 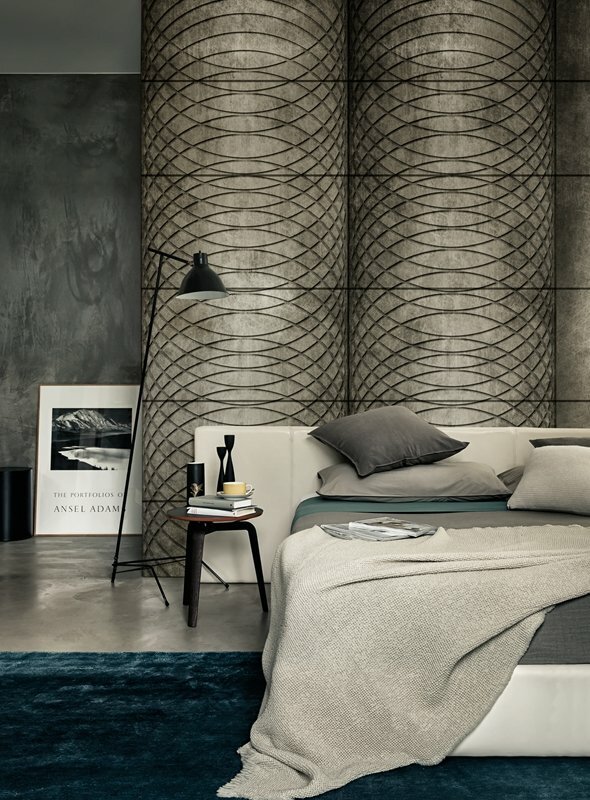 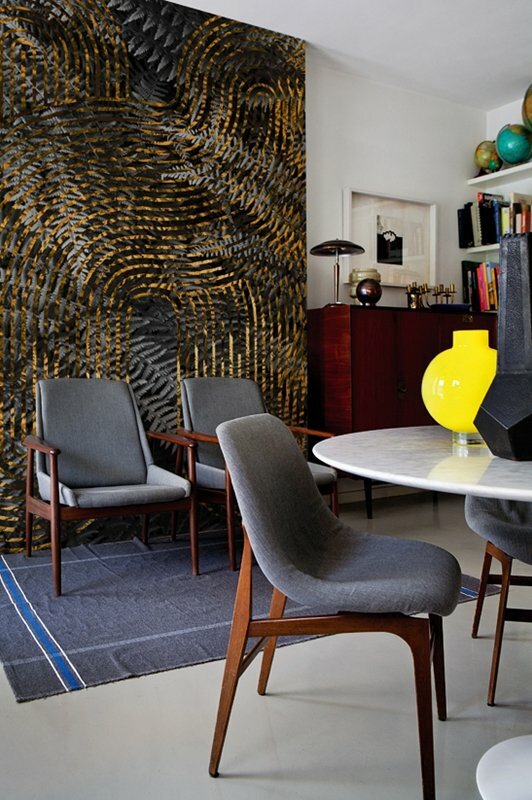 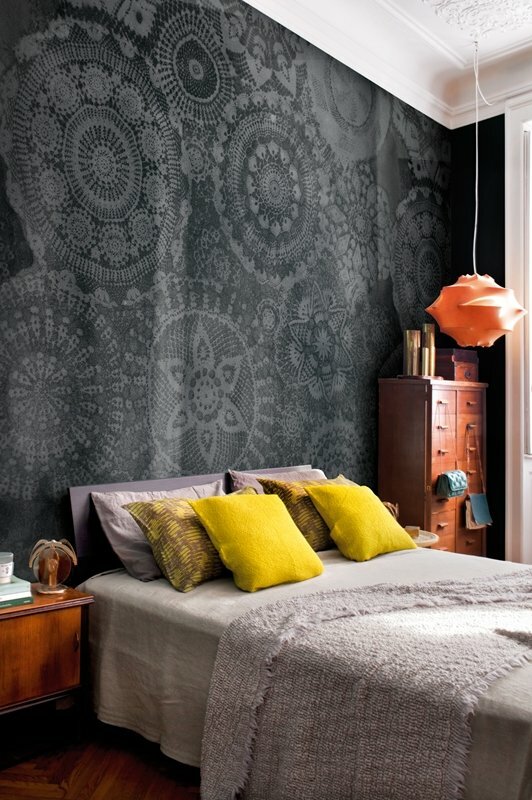 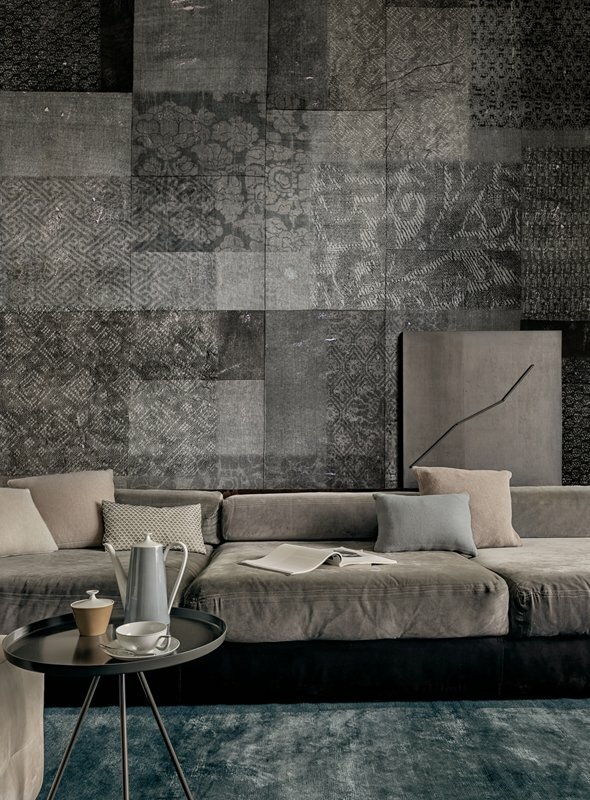 Wallpapers forming an optical illusion give some extra space, enrich the interior with artistic effects. 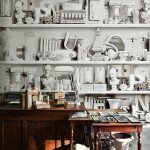 As a result, you feel like in another dimension, in the workshop of the factory, the medieval hall or a museum – it all depends on your imagination. 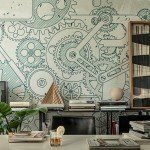 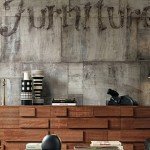 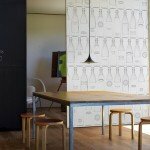 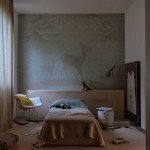 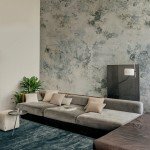 Eijffinger wallpapers have been known for over 130 years finishing materials of the quality level anavailable for all other manufacturers – it represents a design that drives designers into depression working. 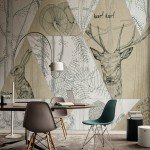 Eijffinger produce so varied wallpapers that it is not possible to describe the entire catalogue. 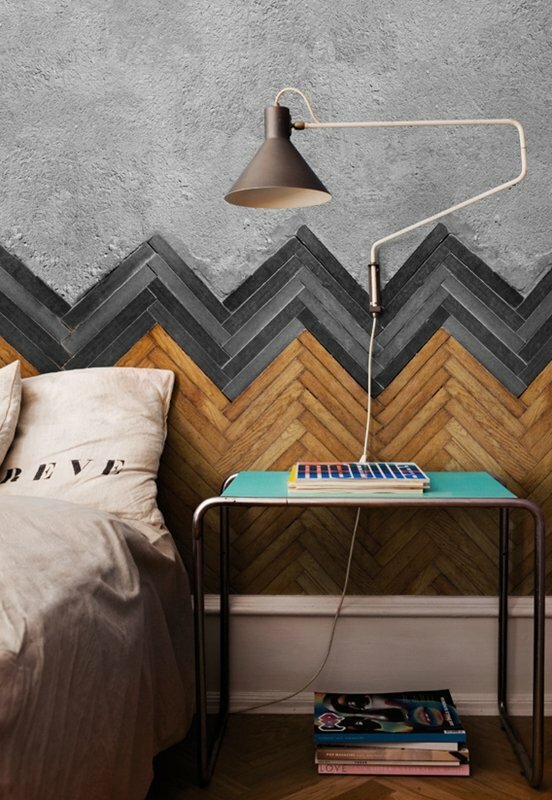 Wall & Deco are unusual wallpapers. 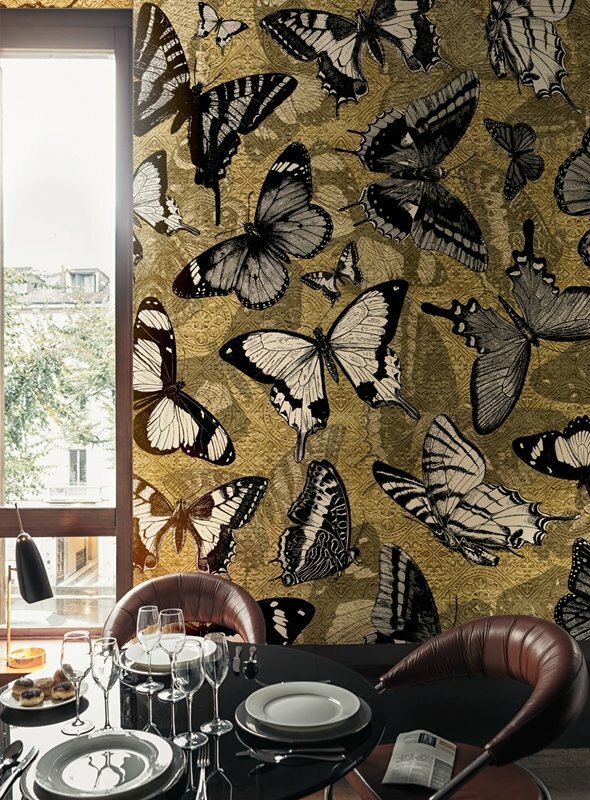 This brand Has has gained recognition throughout the world for extraordinary projects, wallpapers and photowallpapers. 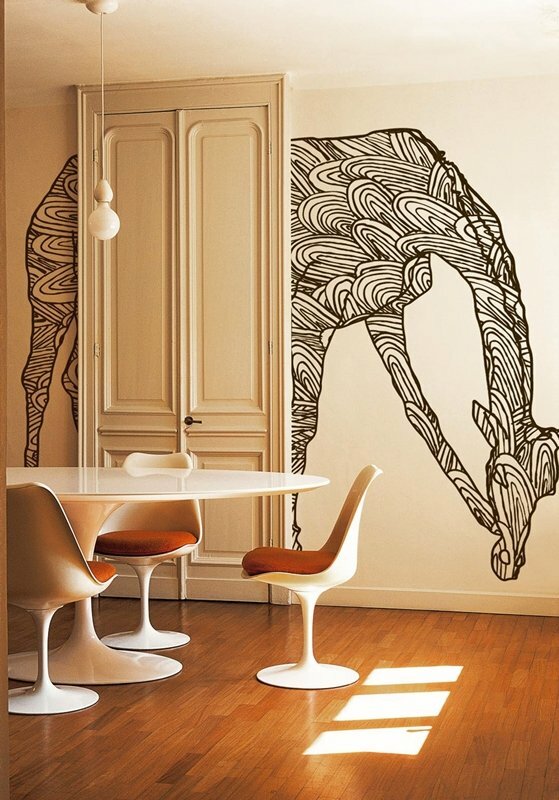 Most of the projects are very expressive creations kept in the convention of abstraction. All wallpapers and photowallpapers are characterized by a very high colour saturation, huge decorative values and quality that allows them for many years to be a real decoration of each arrangement.